Scott also publishes two futures advisories, Swing Trader’s Insight and Trade or Fade. He has written articles for a number of futures publications and has done numerous futures trading seminars, including seminars for both the CBOT and CME. Futures Trading Advice Signal Execution [HD] (7/11/2013)- This video focuses on an “advice signal execution” trading strategy. This strategy benefits traders who don’t have the time or knowledge to trade on their own. Gain Knowledge [HD] (7/11/2013)- At Daniels Trading we believe that knowledge is power. In this video you will hear our brokers discuss the importance of gaining knowledge, and how they can help you build your knowledge base. Scott Hoffman Discusses Cisco Systems with Futures Magazine / FuturesMag.com (11/15/2006)- Daniels Trading Senior Broker Scott Hoffman was quoted in the Futures Magazine article titled “Full steam ahead for Nasdaq 100 e-mini.” Daniels Trading senior broker Scott Hoffman is bullish, noting that Cisco Systems Inc. had a “knock-out third quarter,” and because Cisco sells network infrastructure technologies, it acts as a bellwether for technology stocks, which… Read more. Scott Hoffman Discusses Treasuries and the U.S. Dollar with The Wall Street Journal / WSJ.com (12/16/2011)- Daniels Trading Senior Broker Scott Hoffman was quoted in The Wall Street Journal/WSJ.com article titled “Market Expects Long-Lasting Funding Stress.” “You had a bunch of [Treasury] auctions that had huge demand this week,” said Scott Hoffman, senior broker for Daniels Trading. “Everyone wants to be in the safest place possible, and at the moment,… Read more. April 10 – Breakout Trade in Lean Hogs (4/9/2019)- Yesterday afternoon I sent out an email that pointed out a potential trade in the June lean hog futures. This came from Monday’s breakout setup; hogs sold off this morning and look to close limit down today, which suggests more downside on Wednesday. In my Swing Trader’s Insight advisory I use a number of patterns… Read more. April 1 – Shorting a Failed Rally in Gold (4/1/2019)- In last night’s edition of Swing Trader’s Insight, gold futures were labeled as a Taylor Trading Technique (TTT) Sell day for today. This morning I updated that call, and I suggested we could look to short on a failed rally above the $1300 pivot point. For a TTT Sell day, we would normally look for… Read more. March 4 2019 – Taylor Trading Sell Short day in EMini SP Futures (3/4/2019)- In this morning’s note for the EMini S&P futures, I suggested we might look to short the market if it the overnight rally failed. Friday had been a rally out of a breakout setup and I have long told my readers to be suspicious of Sunday night moves as they often reverse on Monday. This… Read more. October 10 – Breakout Trade in the eMini SP (10/10/2018)- The stock index futures had breakout setups for today. For the eMini S&P, the patterns that told us to look for a breakout trade were a doji bar and NR4 (narrowest range of the previous four sessions. These patterns indicated that on Tuesday traders didn’t want to commit to buying higher or selling lower; this… Read more. October 8 – Taylor Trading Sell Short Day in eMini SP Futures (10/8/2018)- The eMini S&P futures were on the Sell Short day of the Taylor Trading Technique cycle today. Trending markets are a double edged sword for the TTT – they are the kind of markets we want to participate in however they often show only shallow retracements against the trend, which can make it challenging to… Read more. July 17 – Taylor Trading Buy day in eMini SP (7/17/2018)- In today’s Swing Trader’s Insight I suggested we look to buy the eMini S&P futures. They were on the Buy day of the Taylor Trading Technique (TTT) cycle; this gave us both a directional bias to anticipate today as well as a specific entry setup to look for. Monday was the Sell Short day of… Read more. July 13 – Breakout Sale in Soybeans (7/13/2018)- In this morning’s comment for Swing Trader’s Insight I wrote that I would look to short the November soybean futures if they broke the Thursday low. I try to get the morning comment out as early as possible. For this reason I don’t provide a lot of detail there; I thought I’d explain the setup… Read more. June 18- Taylor Trading Buy Day in eMini SP (6/18/2018)- In this morning’s note for Swing Trader’s Insight, I said we should look for a Taylor Trading Buy day for the eMini S&P futures. Early session weakness was a good buying opportunity and the market saw a good rally today. In last night’s Swing Trader’s Insight I was more cautious. Friday was a doji bar… Read more. June 6- Breakout Trades In Soybeans and the eMini SP (6/6/2018)- Both the eMini S&Ps and the soybeans had breakout setups today. The soybeans made a modest move. The eMinis were a bigger mover; I missed the early entry but found a decent trade this afternoon. Soybeans had a breakout setup after yesterday’s doji bar and NR4 formations. Normally we would wait for a break below… Read more. June 1- Breakout Trade in eMini S&P (6/1/2018)- In last night’s edition of Swing Trader’s Insight (STI), the eMini S&P futures were labeled as a breakout setup for today. There were two distinct reasons to anticipate this. First, the previous two sessions had been inside days, indicating price compression. Second, today’s monthly employment report was a likely catalyst for a breakout trade as… Read more. May 4- Breakout Trade in the eMini SP (5/4/2018)- The Swing Trader's Insight avoided a pre-market downside fake out before the Friday employment reports to capture a breakout trade in the eMini SP. May 2 -Post FOMC Breakout Trade in eMini S&P (5/2/2018)- FOMC meetings are a good example of times when markets may show breakout setups and subsequent breakout moves as traders will trade cautiously ahead of the meeting and then take positions after the meeting statement is released when traders then have more complete information to base trade decisions. Today’s Fed meeting was no exception… Read more. April 27 – Sell Short Day in eMini S&P (4/27/2018)- After a two day rally in the eMini S&P futures, the Taylor Trading Technique (TTT) told us to anticipate a Sell Short day for Friday. A failed rally above our reference price gave us a good short sale signal at the open to catch the morning selloff. After making a two week low (and threating… Read more. April 25 – Taylor Trading Buy Day in eMini SP (4/25/2018)- In the Monday night edition of Swing Trader’s Insight, I labeled the eMini S&P futures as having a breakout setup for the Tuesday session. This led to a big downside move on Tuesday, which in turn meant we should look for a Taylor Trading Technique Buy day for Wednesday. On the daily chart above we… Read more. April 5- Sell Short Day in a Strong Market for Emini S&P (4/5/2018)- In last night’s edition of Swing Trader’s Insight, my comment for the EMini S&P was “exit breakout buys. Taylor Trading sell Short day”. Wednesday’s big recovery was a breakout rally (I wrote about that HERE); this meant we could expect a Taylor Trading Sell Short day for Thursday, a day earlier than normal in the… Read more. April 4 EMini SP- Two Breakout Trades in One! (4/4/2018)- Last night I suspected the EMini S&P had a breakout setup for Wednesday. It wasn’t a clear cut breakout setup so I thought I’d watch the overnight action to see if things were more definitive this morning. There was, in fact, a large downside breakout move last night as the Chinese announced a list of… Read more. April 2- Taylor Trading Sell Short Day in Soybean Futures (4/2/2018)- Friday saw the USDA release its estimate of planted acreage for US corn and soybeans for 2018. Soybeans has a breakout setup ahead of the report and then saw a strong rally after the USDA forecast showed they expect lower soybean acreage this year. That breakout rally was a good trade opportunity; I wrote a… Read more. March 29 – Post Report Breakout Trade in Soybeans (3/29/2018)- The end of March Plantings Intentions and Grain Stocks reports from the USDA are an unofficial kickoff to the US growing season. As acreage has a large effect on the size of the crop, this report often is the catalyst for large market moves. That ended up being the case today. Soybeans had sold off… Read more. March 14 – Sell Short Day in May Soybeans (3/14/2018)- In last night’s edition of Swing Trader’s Insight I labeled the May soybeans as having a Taylor Trading Sell Short day for Wednesday. In this morning’s note for STI I reiterated the Sell Short day call; that signal worked well today. This week was a good example of how the rhythm of the Taylor Trading… Read more. March 9 – Breakout Buy in EMini SP (3/9/2018)- In last night’s edition of Swing Trader’s Insight I labeled the EMini S&P (among many markets) as having a breakout setup for today. From a chart standpoint the ES had a breakout setup because Thursday was an NR7 day. From a market psychology standpoint it was logical to look for a breakout move today if… Read more. Feb. 8 – Two Breakout Trades in the EMini SP (2/8/2018)- In last night’s edition of Swing Trader’s Insight I labeled the stock indices as having breakout setups for today. The three I cover (ES, NQ, and RT) had NR4 days on Wednesday as did the EMini Dow. In addition, the Dow and the Russell had doji bars yesterday, strengthening the breakout signal. On its own,… Read more. February 5 –Taylor Trading Buy Day in the EMini SP (2/5/2018)- Today is a Taylor Trading Technique Buy day for the EMini S&P futures. Treating today as a normal trading day gave a decent buy this morning. If you treat the Sunday night trade as a discrete trading session gave earlier and lower long entry. Last week, breakout setup days on Wednesday and Thursday yielded a… Read more. Breakout Buy in the EMini S&P – January 26, 2018 (1/26/2018)- In last night’s Swing Trader’s Insight I labeled the EMini S&P as a breakout trade candidate for today. I used this call along with today’s early session pattern to ride the market higher today. Thursday’s bar was enough in of itself to give today’s breakout setup; the inside day, range contraction and doji bar all… Read more. Taylor Trading Sell Short Day in Gold Futures – January 25, 2018 (1/25/2018)- Today was a Taylor Trading Sell Short day for the gold futures. There was an opportunity to sell overnight; a morning rally and selloff around President Trump’s US Dollar comments gave a second chance to sell. For Swing Trader’s Insight (STI) I had the gold futures labeled as a Sell Short day by the Taylor… Read more. Buying a Sell Day in the EMini S&P – January 17, 2018 (1/17/2018)- In yesterday’s blog post I wrote about a short sale trade in the EMini S&P (read that here). This was based on the ES being in the Sell Short day of the Taylor Trading Technique (TTT) cycle. Yesterday’s afternoon’s recovery meant I labeled today the Sell day of the cycle. However, unlike the label, the… Read more. Taylor Trading Sell Short Day in EMini S&P Futures – January 16, 2018 (1/16/2018)- Today the EMini S&P futures were on the Sell Short day of the Taylor Trading Technique (TTT) cycle. This gave a good short sale opportunity if we used the standard TTT entry; looking at holiday and overnight trade gave us even better entries. Friday was the second day of a market rally, giving the TTT… Read more. Taylor Trading Buy Day in Crude Oil Futures – January 12, 2018 (1/12/2018)- Some of the time markets are a two sided affair, and we can trade them from both sides. Other times markets are trending strongly. When they are trending we want to either trade in the direction of the trend or do nothing. That’s one of the reasons I cover so many markets for Swing Trader’s… Read more. Breakout Trade in EMini S&P Futures – January 9, 2018 (1/9/2018)- A number of markets had breakout setups for today. Often times when a market is set up for a breakout, other correlated markets have this setup concurrently, which is logical. Today there were breakout setups in the EMini S&P, NASDAQ, T Bonds, gold and crude oil futures. This often gives multiple trade opportunities in the… Read more. December 15 – Breakout Trade in EMini NASDAQ Futures (12/15/2017)- Someone once said that “your best trade is the one that makes you uncomfortable”. Going long in a market making a new contract high might fit the bill for an uncomfortable trade for many traders but sticking to a logical trading plan can help you anticipate when this makes sense and give you the confidence… Read more. December 6 – Breakout Trade in Crude Oil Futures (12/6/2017)- As I noted in Swing Trader’s Insight last night, crude oil futures had a breakout setup for Wednesday, as Tuesday was NR4 day and a doji. This fit well with today’s release of the EIA petroleum inventory report, which is often a catalyst for a breakout move. Tuesday was an interesting day as it followed… Read more. December 5 – Breakout Trade in Gold Futures (12/5/2017)- In last night’s Swing Trader’s Insight I noted had gold futures for today as Monday saw range contraction (NR4) and was also a doji bar. The breakout setup told us to look for a potential large move in one direction or the other; we would seek to enter a trade in the direction of the… Read more. November 28 – Breakout Trade in Lean Hog Futures (11/28/2017)- Of the patterns I use for my Swing Trader’s Insight advisory, breakout setups are my favorite to trade (get my guide to breakout trades HERE). Breakout setups indicate a market that is set up for a potential large move in short amount of time – exactly the kind of trade that traders should be looking… Read more. November 17 – Breakout Trade in Gold Futures (11/17/2017)- The gold futures were one of many markets with a breakout setup for Friday. This setup helped us anticipate and trade today’s big rally. In last night’s edition of Swing Trader’s Insight I labeled gold as having a breakout setup for Friday, given the range contraction (Thursday’s range was 50% smaller than Wednesday) and doji… Read more. November 13- Breakout Buy in EMini SP (11/13/2017)- In last night’s Swing Traders Insight, the EMini S&P futures were labeled as a breakout trade candidate for today. We anticipated a breakout move because of the inside day, range contraction and doji bar on Friday; in turn we looked for the market to make a directional move today. The first reference prices for a… Read more. November 8- Taylor Trading Buy day in EMini SP Futures (11/8/2017)- For the EMini S&P futures, yesterday was the Sell Short day of the Taylor Trading Technique (TTT) cycle (I wrote about that HERE). That meant we anticipated a TTT Buy day for Wednesday, and so far this has worked well. Tuesday wasn’t a textbook Sell Short day, as the market didn’t close much lower than… Read more. November 7 – Sell Short Day in EMini SP Futures (11/7/2017)- For Tuesday the EMini S&P futures were on the Sell Short day of the Taylor Trading cycle. As I noted last night in Swing Trader’s Insight, this gave us an opportunity to get short last night and a second chance during the day session. On Monday these was an upside breakout move of sorts after… Read more. November 3 2017 – Breakout Trade in Silver Futures (11/3/2017)- On many occasions, the first Friday of the month is a good day for trade setups, especially breakouts, as the significance of the labor market causes traders to stay out of trades before the release, which in turn causes a sudden jump in trading interest and concurrent large directional moves afterward. This week, however, saw… Read more. October 30 – Taylor Trading Sell Short day in EMini S&P Futures (10/30/2017)- On Friday I wrote about a breakout setup and trade opportunity in the EMini S&P futures (read that article HERE.). Friday’s breakout rally meant we would anticipate a Taylor Trading Technique (TTT) Sell Short day for Monday; this gave us a good follow up trade today and shows how the TTT can anticipate and capture… Read more. October 27 –Breakout Trade in EMini S&P Futures (10/27/2017)- In last night’s Swing Trader’s Insight I labeled the EMini S&P as a breakout setup for today as a result of the inside day, doji bar and range contraction on Thursday. This setup allowed us to anticipate this morning’s rally. As I writing this morning’s watch list I was wondering whether I would have to… Read more. October 25- Breakout Sale in EMini S&P Futures (10/25/2017)- In this morning’s note for Swing Trader’s Insight, my comment for the EMini S&P was “It has a breakout setup (ID, NR4). On the downside use the overnight low of 2560.50.” Normally the Taylor Trading Technique (TTT) would have us anticipate a different pattern today however the breakout setup overrode it, giving us a good… Read more. October 23- Sell Short Day in EMini S&P Futures (10/23/2017)- The EMini S&P futures were on the Sell Short day of the Taylor Trading Technique (TTT) cycle today. It’s been a slow session however patience has been paid as the session long downtrend has been rewarding shorts. In last night’s Swing Trader’s Insight I labeled the EMini S&P futures as a Sell Short day after… Read more. October 2- Taylor Trading Buy Day in Crude Oil (10/20/2017)- On Thursday, crude oil futures sold off out of a breakout setup (Wednesday was an NR7 and doji bar day). Thursday’s action then gave a Taylor Trading Technique (TTT) Buy day signal for Friday, which gave us a good trade today. Thursday’s pattern was what we would expect for both a downside breakout and a… Read more. October 19 – Sell Short Day in EMini S&P Futures (10/19/2017)- Today the EMini S&P futures are on the Sell Short day of the Taylor Trading cycle, following the upside breakout Wednesday. For a Sell Short day we look to short the market on a failed rally, normally using the previous day high as a “reference price” for the short. However, we don’t always get the… Read more. October 10 – Breakout Trade in Crude Oil Futures (10/10/2017)- In last night’s edition of Swing Trader’s Insight I noted that crude oil futures had a breakout setup for today. This meant we would look for a strong directional move today as traders moved the market out of yesterday’s compression and lack of direction. On the upside, our first breakout level for November crude oil… Read more. September 29 – Taylor Trading Buy Day in Lean Hogs (9/29/2017)- In last night’s edition of Swing Trader’s Insight I labeled the December Lean Hog futures as a Buy day according to the Taylor Trading Technique cycle, and I reiterated that call in this morning’s STI watch list. If that didn’t get your attention, the gap lower open this morning should have given you a heads… Read more. Sept. 20 – Breakout Trade in Live Cattle Futures (9/20/2017)- I’ll be looking for trade opportunities after the FOMC meeting; I usually don’t trade financial and other monetary policy sensitive futures ahead of the Fed meeting announcement. However, I did like today’s breakout setup in December live cattle, which gave us a good trade this morning. I have been bullish on live cattle recently as… Read more. September 18 – Two Breakout Trades Today (9/18/2017)- On Sunday afternoon I went over the price charts for my Swing Trader’s Insight advisory, looking for potential trades for Sunday night and Monday. I sent out two charts; I recommended looking to short the December Treasury Bond futures if they broke below the Friday low of 154-24. Here was the chart I sent yesterday.… Read more. Sept. 11 – Breakout Setup and Trade in eMini S&P Futures (9/11/2017)- The eMini S&P futures had a breakout setup for today as uncertainty over the weekend path of Hurricane Irma kept a lot of traders non-committal as to direction on Monday. The relatively benign path of Irma was a big relief to market bulls today, giving a strong upside breakout move today. Last week the eMini… Read more. September 6- News and a Breakout Trade in Canadian Dollar Futures (9/6/2017)- In last night’s edition of Swing Trader’s Insight I listed the Canadian Dollar futures as having a breakout setup for today. As the Bank of Canada was meeting today, the combination of a chart setup and a news event that was a likely catalyst for a move after the BOC announcement at 9 AM CT.… Read more. September 1- Taylor Trading Sell Short day for Treasury Bonds (9/1/2017)- The monthly payroll report often gives good trade opportunities. It’s a challenge for me as a writer; I tend to have a few markets in mind for trade candidates, but it’s usually impossible to actually get a communication about a trade idea before the move has come and gone. I send out Swing Trader’s Insight… Read more. August 29 – Two Breakout Trades in One for eMini S&P Futures (8/29/2017)- The eMini S&P futures had a breakout setup for today. Yesterday’s missile launch by North Korea gave an opportunity for a downside breakout trade last night. Lack of downside follow through and subsequent upside reversal rally this morning gave an upside breakout move. Monday was a breakout setup for the eMini S&P futures, as Monday… Read more. August 17 – Breakout Trade in eMini S&P Futures (8/17/2017)- I’m writing a report about identifying and trading breakout setups so I’ve been in that mindset for the past few days. As I’ve been looking for breakout trades the eMini S&P jumped out at me this morning as a trade candidate. The eMini futures actually had a breakout setup for Wednesday, as Tuesday was an… Read more. August 2 – Breakout Trade and an Early Entry in eMini NASDAQ Futures (8/2/2017)- In last night’s Swing Trader’s Insight I labeled the eMini NASDAQ futures as having a breakout setup for today. This was logical, given that Apple’s earnings report was due after the close yesterday, and many traders would be cautious ahead of the release. The breakout setup gave us a trade opportunity this morning, and the… Read more. July 14 – Breakout Trade in eMini S&P Futures (7/14/2017)- In last night’s edition of Swing Trader’s Insight (STI) I labeled the eMini S&P as a breakout candidate for today, as Thursday had the narrowest trading range of the previous seven sessions (an NR7 day). This setup gave a good entry on the open this morning and today has seen a strong rally into new… Read more. July 12- Breakout Trade in T Bond Futures (7/12/2017)- In last night’s edition of Swing trader’s Insight I labeled the Treasury Bond futures as having a breakout setup for today. Although it didn’t meet my normal criteria for a breakout setup, the fact that it had relatively direction trading on Tuesday (setup) when combined with Fed Chair Yellen’s Congressional testimony (a likely catalyst for… Read more. June 29 –Selling a Top in the eMini S&P Futures (6/29/2017)- By the Taylor Trading Technique, today was a Taylor Trading Technique Sell day for the eMini S&P Futures. Normally this would mean we would look for a two sided trade around the previous day high, with a Sell Short day to come in the following session. In this case, however, there were some patterns that… Read more. Today’s Buying Opportunity in eMini NASDAQ Futures (6/12/2017)- Today the eMini NASDAQ futures were on the Sell day of the Taylor Trading cycle (it was a Buy day if you use a strict day by day account). Regardless of which day it was on, early weakness represented a good buying opportunity. The Naz had a huge selloff on Friday, breaking out of the… Read more. June 8 – Breakout Sale in Gold Futures (6/8/2017)- In last night’s edition of Swing Trader’s Insight, I noted that gold futures had two potential trades today. It could be either a Taylor Trading Technique Buy day or a breakout trade, which could potentially move in either direction. For the Taylor Trading signal we had the following pattern this week. Monday was a breakout… Read more. June 7 – Breakout Trade in Crude Oil Futures (6/7/2017)- As is often the case, the release of the weekly EIA report on US petroleum inventories provided a great opportunity to trade a breakout setup in crude oil futures. I’ve written a number of times about this recurring opportunity; this week’s release was another example of this trade. I almost always look for a breakout… Read more. June 6 – Two Setups, One Trade for Soybean Futures (6/6/2017)- Today the July soybean futures are on the Buy day of the Taylor Trading cycle; they also have a breakout setup. This gave us two different setups to look for when trading them today. Recently I had a reader ask me about alternative setups to look for to use the Taylor Trading Technique (TTT) doesn’t… Read more. June 2- Breakout Trade in Treasury Bond Futures (6/2/2017)- Treasury bond futures had a breakout setup for Friday, which was logical given the May employment report was released this morning. This setup, combined with the market’s proximity to its contact high, made this a good market to trade this morning. In last night’s edition of Swing Trader’s Insight I labeled T bonds as a… Read more. May 25 – Breakout Trade for Crude Oil Futures (5/25/2017)- The crude oil futures had a breakout setup for today. This was logical, as the OPEC meeting was concluding this morning. The breakout setup gave us a pattern to trade; OPEC gave the catalyst for a tradable move. In last night’s edition of Swing Trader’s Insight (STI) I labeled July crude oil as a… Read more. May 23- Sell Short Day in Gold Futures (5/23/2017)- Today the gold futures were on the Sell Short day of the Taylor Trading Technique (TTT) cycle. Gold was approaching last week’s high, the highest of the past three weeks, so this was a market to watch today. Friday was the Buy day of the TTT cycle and the market had a bullish pattern, opening… Read more. May 18 – Taylor Trading Buy Day in EMini S&P Futures (5/18/2017)- On Wednesday the eMini S&P futures sold off out of a breakout setup. The selloff on Wednesday meant we would anticipate a Taylor Trading Buy day for Thursday, and we got a good rally this morning. Tuesday was a breakout setup (range contraction, directionless session). On Wednesday we got what the breakout setup predicted –… Read more. May 17- Taylor Trading Buy Day in Coffee Futures (5/17/2017)- In last night’s edition of Swing Trader’s Insight I labeled the coffee futures as a (Taylor Trading) Buy day, and I reiterated this call in this morning’s STI watch list. It took a while for the trade to form up but it ended up going well. There were a number of Taylor Trading signals for… Read more. May 16- Taylor Trading Sell Short Day in EMini S&P Futures (5/16/2017)- Following a breakout rally on Monday, the eMini S&P futures had a Taylor Trading Sell Short day signal for Tuesday. The fact that it was up against the contract high made this an interesting setup today. Monday saw a number of moves pout of breakout setups. I wrote about a breakout sale in live cattle;… Read more. May 15 – Breakout Sale in Live Cattle Futures (5/15/2017)- There were a number of markets with breakout setups today – stock indices, some of the currencies, gold, silver, crude oil and soybeans. Live cattle were another breakout move candidate, and its late opening time meant we had time to watch the open this morning. In last night’s edition of Swing Trader’s Insight I labeled… Read more. May 11 – Early Breakout Trade in eMini S&P Futures (5/11/2017)- The eMini S&P futures had a breakout setup for today, following two narrow range and directionless sessions. The breakout setup gave us a good early morning trade opportunity. Stocks had seen two quiet sessions this week, showing relatively directionless trading around the middle of the recent range. Wednesday’s trade was especially quiet, with an NR4… Read more. May 10 – Breakout Trade in Crude Oil (5/10/2017)- The crude oil futures had a breakout setup for Wednesday, as we often see on the day of the weekly EIA petroleum inventory report. It’s one of my favorite times of the week to look for a trade, as the report often generates a large market move. This week, after Friday’s big upside reversal (I… Read more. May 9- Breakout Trade in eMini NASDAQ Futures (5/9/2017)- In this morning’s Swing Trader’s Insight watch list, I commented on the eMini NASDAQ futures that we should look to buy a move above 5660.50, the Monday high. This gave us a good trade this morning; here’s how it went. I was more interested in the NQ than the ES today. The ES had a… Read more. May 5- Taylor Trading Buy day in Crude Oil Futures (5/5/2017)- Following a big selloff this week (a little over 11%) and a breakout sale on Thursday, crude oil futures were primed for a rally today, and the Taylor Trading Technique gave us a good method to identify and trade this setup. Crude oil got crushed this week, with big selloffs out of breakout setups on… Read more. April 21- Breakout Trade in Crude Oil Futures (4/21/2017)- In this morning’s watch list for Swing Trader’s Insight I suggested we look to short June crude oil futures on a break below the Wednesday low of 50.50. Crude consolidated after Wednesday’s big selloff; the resulting breakout setup gave a good opportunity this morning. It’s been a rough week for commodities as money has poured… Read more. April 20 – Buy Day for eMini S&P Futures (4/20/2017)- In last night’s Swing Trader’s Insight, my comment in the eMini S&P futures was “exit breakout buys, (Taylor Trading) Buy day. Although we didn’t get a standard Taylor entry this morning, an alternative entry yielded a good day. Stocks had two weak days to begin the week. Monday was a bearish day, closing in the… Read more. April 13- Taylor Trading Buy Day in eMini S&P Futures (4/13/2017)- After yesterday’s selloff, today the eMini S&P futures were on the Buy day of the Taylor Trading cycle. Given that stocks often have a positive bias the day before a holiday (not a sure thing, but a tendency), I liked the long side today. Stocks traded lower last night geopolitical concerns lingered. In fact, the… Read more. April 11- Breakout Trade in eMini S&P Futures (4/11/2017)- It feels like feast or famine for trading recently- I had a difficult time finding trades yesterday, and today a large number of markets have a tradable setup. That’s actually not what I would expect; it’s a result of how the markets are behaving as a result of the Trump administration. I wrote a report… Read more. April 5 – Breakout Trade(s) in the eMini S&P Futures (4/5/2017)- In last night’s edition of Swing Trader’s Insight, the eMini S&P futures were labeled as a breakout setup, due to the inside day range contraction (Tuesday range was 60% of Monday) and doji bar. As it turned out, this breakout setup yielded two trades if you were looking for a trade this afternoon. (chart by… Read more. March 31 – Taylor Trading Sell Short day in eMini S&P Futures (3/31/2017)- Yesterday I wrote about a breakout rally in the eMini S&P Futures (you can read that HERE). The Taylor Trading Technique tells us to anticipate a Sell Short day in the following session, will we get a selloff this afternoon? This whole setup came kind of late in the day after a lethargic morning. The… Read more. March 30- Breakout Trade in eMini S&P Futures (3/30/2017)- Sometimes the markets are more exciting than others. Regardless of volatility, you take what you can get from the markets; today’s breakout trade in the eMini S&P futures of taking a little when you’re only given a little. A number of stock index futures had breakout setups for today. That included the eMini S&P, which… Read more. March 27- The Monday Reversal Trade in Stock Index Futures (3/27/2017)- In last night’s Swing Trader’s Insight advisory, the stock index futures were labeled as a Taylor Trading Sell Short day, and we saw a good selloff last night. However, Mondays often behave differently than the other four trading sessions of the week (as I’ve noted previously) and today we got a very different trade opportunity.… Read more. March 23 – Sell Short Day in Japanese Yen Futures (3/23/2017)- Today the Japanese Yen futures were on the Sell Short day of the Taylor Trading cycle. Following yesterday’s rally into a new high for 2017, the Yen was a market to keep an eye on today for a trade opportunity. The Yen has seen a big rally this month. This week, the Yen had a… Read more. March 22- Taylor Trading Buy Day for Crude Oil (3/22/2017)- Today the crude oil futures were on the Buy day of the Taylor Trading cycle. I like to look for trade opportunities after the 9:30 AM EIA report; there was a good combination of time and price for a setup this morning. Last week I wrote a report about what I believe are going to… Read more. March 15 – Buy Day and Breakout Setup in Euro FX Futures (3/15/2017)- Today the Euro FX futures were on the Buy day of the Taylor Trading cycle and an NR4 pattern on Tuesday gave it a breakout setup today as well. This gave us a good buying opportunity. Tuesday was the second consecutive day down. Normally we would anticipate a Taylor Buy day on Tuesday however it… Read more. March 10 – Sell Short day in eMini S&P Futures (3/10/2017)- By the Taylor Trading Technique today was a Sell Short day for the eMini S&P futures. This signal allowed us to anticipate a trade opportunity this morning. For last night’s comment Swing Trader’s Insight I noted the (TTT) Sell Short day for the ES. This week was especially clear for the TTT cycle, although Thursday’s… Read more. Feb. 28 – Breakout Trade in Live Cattle Futures (2/28/2017)- Following a selloff out of a breakout setup last Friday, the April live cattle futures had another breakout setup for Tuesday. Today, the breakout setup led to a rally. On Monday, cattle showed a number of patterns that indicated we should look for a breakout move on Tuesday – it was an inside day, a… Read more. February 16 – Taylor Trading Sell Short Day in Soybean Futures (2/16/2017)- The Taylor Trading Technique (what I use for my Swing Trader’s Insight advisory) said to anticipate a Sell Short day for soybean futures today. This turned out to be a great example of what a Taylor Trading day looks like. Yesterday I wrote about yesterday’s Buy day in soybean futures (I wrote about that HERE.) … Read more. February 15 – Taylor Trading Buy Day in Soybean Futures (2/15/2017)- Soybean futures were on the Buy day of the Taylor Trading cycle today. After an overnight selloff, the day session open gave a good opportunity to get long for the ensuing rally. Following an NR7 and inside day on Monday (range contraction patterns), March soybeans had a breakout setup for Tuesday. Tuesday then had a… Read more. February 14- Yellen Testimony and a Breakout Trade in T Bond Futures (2/14/2017)- Treasury Bond futures had a breakout setup today, as might be expected ahead of today’s testimony by Fed Chair Yellen. Bonds had spent the past two days consolidating around the midpoint of the January – February rally so it was logical to look for a move away from that level today. Monday was an NR7… Read more. February 10 – Taylor Trading Buy Day in Gold Futures (2/10/2017)- Today the gold futures were on the Buy day of the Taylor Trading cycle. I’ve been look for a break to buy in the gold; today’s early selloff was a good opportunity to do so. Gold has rallied since mid-December, moving higher on a combination of rising inflation expectations, comments from the Trump administration that… Read more. February 3- Breakout Trade in eMini S&P Futures (2/3/2017)- We identified today as a breakout setup because of a number of patterns. January 31- Breakout Trade in Coffee Futures (1/31/2017)- Coffee futures had a breakout setup for Monday. It ended up having a smaller range on Monday and it was a doji bar as well so the breakout setup carried over to Tuesday. The result was a big range move today. Coffee is one of my favorite markets for breakout trades so on Monday… Read more. Will the Downtrend in the US Dollar Continue This Year? (1/31/2017)- The Trump administration wasted no time in working to talk down the US Dollar. Numerous officials (Mnuchin, Scaramucci, Pence) have all commented that the strong US Dollar hurts US competitiveness in global markets. In an interview with the Wall Street Journal, President Trump said “our currency is too strong. And it’s killing us.” Additionally the… Read more. January 30- Second Breakout Trade in eMini S&P Futures (1/30/2017)- The eMini S&P futures had two conflicting setups today. As is always the case, the market is the boss; we let the market decide which way it wants to go and we look to go with the trend. Last Thursday the March eMini S&P made a contract high. The daily bar had breakout setup patterns… Read more. January 27- Breakout Setup for Sugar Futures for Monday (1/27/2017)- For the past two days I’ve been looking for a breakout move in the sugar futures. Instead of a move, the range tightened up again on Friday. Will this result in a move on Monday? March sugar futures had a breakout setup for Friday; Thursday was an inside day, an NR7 and a doji bar.… Read more. January 26 – Taylor Sell Short Day in eMini S&P Futures (1/26/2017)- By the Taylor Trading Technique, today was a Sell Short day for the eMini S&P futures. I wasn’t enthusiastic about this signal however I have been asked about shorting it over the past couple of days so I thought I’d write about it. I had subscribers interested in shorting the ES after Tuesday’s push above… Read more. Jan. 23 – A Trick For Trading EMini S&P Futures on Mondays (1/23/2017)- Today was a Taylor Trading Technique (TTT) Sell Short day for the EMini S&P futures. As is often the case, Mondays often behave differently than the other four trading sessions of the week- I suspect it’s the longer break between trading sessions. For a TTT Sell Short day, our standard setup is to look for… Read more. January 20- Breakout Rally in Crude Oil Futures (1/20/2017)- Crude oil futures had a breakout setup for Friday- Thursday was an NR7 (narrowest range of the previous seven sessions), an inside day and a doji bar. Additionally, March crude oil had come down to test last week’s low of 51.59, putting it in a position to break down below the recent lows (possibly for… Read more. January 19- Taylor Trading Buy Day in Natural Gas (1/19/2017)- For my Swing Trader’s Insight advisory I like to trade breakout setups on the days the government’s energy inventory (EIA) reports are released. Natural gas was a day early and had a breakout sales on Wednesday so today we looked for a Taylor Trading Buy day. (I do believe the Trump administration will create more… Read more. STI January 11 – Breakout Trade in Wheat Futures (1/11/2017)- Wheat futures had a breakout setup for Wednesday. As it turned out, this coincided with a decision by China to raise the import tariff on some US grain products. This resulted in a good breakout trade in wheat; I wonder this is also an example of the types of market moves we can expect with… Read more. January 6- Breakout Buy in EMini S&P Futures (1/6/2017)- The EMini S&P futures had a breakout setup for Friday, which made sense in light of the monthly employment report due today. The breakout setup gave a good trade for the day session after a fake out in the premarket. Thursday’s bar for the S&P was an inside day, NR4 and a doji. These were… Read more. January 6 – Taylor Trading Sell Short Day in T Bond Futures (1/6/2017)- Treasury Bond futures had a big rally on Thursday as they rallied out of Wednesday’s breakout pattern. This gave them a Taylor Trading Technique Sell Short day signal for Friday. Treasuries (Bonds, the 5 and 10 Year T Notes as well) had a breakout pattern Wednesday. They all showed range contraction from Tuesday as well… Read more. January 3- Taylor Trading Buy Day in Gold Futures (1/3/2017)- Gold futures had followed the Taylor Trading Technique (TTT) cycle for the past two sessions. Today was a Taylor Trading Buy day and it stuck to the script for another day. Friday was a TTT Sell Short day (I wrote about that HERE) and the bar looks like a Sell Short day- the market opened… Read more. December 30- Taylor Trading Sell Short Day in Gold Futures (12/30/2016)- Success in trading, as with many things in life, is contingent on preparation. For trading, preparation does two things for you. First, it allows you to identify trade opportunities when they occur, allowing you to act promptly. Second, preparation gives you confidence to act when trade opportunities arise, making it easier to do the right… Read more. December 29 – Breakout Trade in Gold Futures (12/29/2016)- The markets are often thinly traded during the last week of the year. Sometimes this makes for markets with no real trade setups. Other times this thinness can mean volatility and opportunities. As I wrote about yesterday (go HERE), trading opportunities tend to be hit or miss at the end of the year. Many traders… Read more. December 28- Breakout Trade in Natural Gas Futures (12/28/2016)- Holiday markets tend to be feast or famine for trading. Some tend to either do very little, providing no real trade opportunities. Other times they make big moves as less liquid conditions and the shortage of trading prospects can create explosive setups that attract short term traders when opportunities do appear. Today we saw both… Read more. December 22 – Taylor Trading Buy Day in Crude Oil Futures (12/22/2016)- Markets often seem to follow Newton’s law of inertia- markets at rest tend to stay at rest. A number of markets had quiet sessions on Wednesday, and many of these markets remained relatively quiet Thursday. This meant a lot of those markets remained quiet today. Fortunately there were still some opportunities. Wednesday was “report day”… Read more. December 15- Taylor Trading Buy Day for Crude Oil, and a Look Ahead (12/15/2016)- Crude oil futures had a big selloff on Wednesday, falling out of a breakout setup as the weekly inventory report and hawkish Fed statement led to a broad based commodity rout. The selloff on Wednesday gave crude a Taylor Trading Buy day setup for Thursday and we saw the anticipated rally. In last night’s edition… Read more. December 14 – Post-FOMC Emini S&P Trade (12/14/2016)- Although it didn’t “officially” have a breakout setup (no breakout patterns, per se), we still anticipated a breakout move for the stock index futures after the FOMC meeting ended. This meeting probably had the most uncertain outcome of recent meetings so a relatively large change in “fair value” was a likely outcome. For the EMini… Read more. December 12- Breakout Trade in Live Cattle Futures (12/12/2016)- I like trading markets that have a distinctive open time- the grains, livestock and stock indices (the actual stock market) all open at 8:30 AM Central. This break between sessions can make for emotional and sometimes volatile trade and the emotional trading of others can make for good setups for those who prepare and keep… Read more. December 7- Breakout Trade in EMini NASDAQ Futures (12/7/2016)- The EMini NASDAQ futures had a breakout setup for today. While I normally use the Taylor Trading Technique to look for trades, breakout setups are special situations. The NASDAQ was interesting this week. Monday saw a strong rally out of another breakout setup; it was also a Taylor Trading Buy day (there was an early… Read more. November 30- Taylor Trading Sell Short Day in T Bond Futures (11/30/2016)- By the time I was writing this morning’s Watch List for Swing Trader’s Insight, a number of markets had already made moves that had been anticipated. That meant we had to look for continuation or reversal type moves. The Treasury Bond market was on the Sell Short day of the Taylor Trading cycle. This meant… Read more. November 29 – Taylor Trading Buy Day in EMini S&P Futures (11/29/2016)- Today was a Taylor trading Buy day in the EMini S&P futures. It made a textbook low violation and rally; exactly the action the TTT would tell you to anticipate. Monday was the Sell Short day of the Taylor Trading cycle (I wrote about that trade HERE.). The daily bar shows the standard profile of… Read more. November 28- Taylor Trading Sell Short Day in EMini S&P Futures (11/28/2016)- The Taylor Trading Technique views market moves as a series of reactions to what the market has done recently. Knowing this help us to anticipate what a market is likely to do, based on what it did in the previous session. For the EMini S&P futures, Friday was a breakout buy day. On Friday it… Read more. November 23- Anticipating Today’s Selloff in Gold Futures (11/23/2016)- Gold futures have seen a big selloff in November as the US Dollar Has strengthened and traders have priced in an increasingly tighter Fed policy for 2017. Over the past weeks I have spoken to a number of clients about buying gold; it has seemed like every time we decide to wait it has been… Read more. November 22- Sell Short Day in Canadian Dollar Futures (11/22/2016)- The Taylor Trading Technique is based on the concept that markets move in cycles; that a move in one direction will be followed be a reactive move in the opposite direction. Knowing this can allow us to anticipate what a market may be likely to do on a given day. On Tuesday the Canadian Dollar… Read more. Nov. 14- Breakout Sale in EMini NASDAQ Futures (11/14/2016)- In this morning’s watch list for Swing Trader’s Insight I highlighted a breakout setup in the EMini NASDAQ futures. An overnight upside breakout had failed and the NASDAQ has been the weakest of the stock indices so I was looking for a relatively aggressive short entry if it broke out down. Normally we would use… Read more. November 10 – Early Session Short in EMini SP Futures (11/10/2016)- In this morning’s watch list for Swing Trader’s Insight I wrote that I would look to short the EMini S&P futures if it broke below the Wednesday high. A client who uses the Taylor Trading Technique as I asked me about this trade; here was my thinking. By the Taylor Trading Technique my client and… Read more. November 9- Taylor Trading Buy Day in Coffee Futures (11/9/2016)- Coffee futures had a Taylor Trading Buy day signal today and the longer term trend is up. A gap lower open today was a good signal to look for an opportunity to go long IF the market rallied. I didn’t see many trade setups in the financial markets for this morning’s watch list for Swing… Read more. November 7- Breakout Buy in the EMini S&P Futures (11/7/2016)- The EMini S&P futures had a breakout setup today, as Friday was an NR7 day (narrowest trading range of the previous seven days). The breakout setup meant we should anticipate a directional move today- a strong move in on direction – and we should look to trade accordingly. For breakout trades I normally start with… Read more. Nov. 2- Taylor Trading Buy Day in EMini SP Futures (11/2/2016)- On Tuesday the stock index futures sold off out of a breakout setup (I wrote about the EMini S&P trade HERE.). By the Taylor Trading Technique (TTT) we would anticipate a Buy day for Wednesday, and there did end up being a TTT buy day trade of sorts today. Tuesday saw a big selloff out… Read more. November 1- Breakout Trade in EMini SP Futures (11/1/2016)- Stock index futures had a breakout setup today. The EMini S&P, NASDAQ, Dow and Russell all had inside days on Monday, and the NASDAQ and Russell had narrow range days as well. The breakout setup told us to look for a strong move in one direction today, and we would look for a trade to… Read more. An Opening Range Trade Setup in EMini Futures (10/28/2016)- This morning I had an email exchange with a Swing Trader’s Insight subscriber. He asked me if I thought there were markets that were especially good for the Swing Trader’s Insight / Taylor Trading Technique methods. I like markets that have a distinct morning opening as they often have early session fake out / countertrend… Read more. EMini SP Futures Today- Taylor Trading Buy Day (10/26/2016)- When George Douglas Taylor wrote up his “Book Method” (the Taylor Trading technique) he used the previous session low or high as a “reference price” for a Buy day or a Sell Short day respectively. The longer trading hours have changed market structure, which can give us additional price levels to trade off. Today was… Read more. Taylor Trading Buy Day in T Bond Futures (10/25/2016)- Yesterday I wrote about how, using the Taylor Trading Technique (TTT) we identified and traded a down move in Treasury bond futures. The TTT anticipated a rally in T bonds today; this gave us a new trade opportunity today. The Taylor Trading Technique describes a cyclicality where a market makes a low and rallies, then… Read more. Breakout Trade in Treasury Bond Futures Today (10/24/2016)- Treasury bond futures had a breakout setup for today- Friday was an inside, NR7 day. Normally we use the previous day high and low as the primary breakout levels however sometimes it makes sense to look for earlier entries. In today’s Swing Trader’s Insight Morning Watch List I suggested we use the overnight high of… Read more. Today’s Taylor Trading Sale in Gold Futures (10/20/2016)- The Taylor Trading Technique (TTT) seeks to anticipate when short term trend changes are likely to occur and then takes positions to take advantage of traders who get trapped when the market reverses direction. Today was a Taylor Trading Sell Short day in gold futures. After making a low last Friday, it rallied for the… Read more. Today’s Taylor Trading Setup in Euro Futures (10/18/2016)- The Taylor Trading method seeks to anticipate a market’s direction for a given day and then trade when the market moves in the anticipated direction. Combining things like the longer term trend and other things like breakout setups can create a good synergy of patterns to look for. It’s been difficult to find many good… Read more. Trading Today’s Taylor Trading Signal in the ES (9/29/2016)- In last night’s edition of Swing Trader’s Insight, the eMini S&P futures were labeled as a “Sell Short day” according to the Taylor Trading Technique (TTT) cycle. Today’s action was a textbook example of the TTT Sell Short day roadmap. The TTT attempts to anticipate a market’s daily direction based on what it has done… Read more. Employment Report Day Trade in eMini Futures (7/8/2016)- Report releases often create conditions where a market makes a large move in a short amount of time- a breakout trade. Yesterday I wrote about a breakout trade in crude oil (read it HERE) after the weekly inventory report. Today we had a trade opportunity in the stock index futures after the release of the… Read more. Another Report Day Breakout Trade in Crude Oil Futures (7/7/2016)- As I’ve written previously, the weekly EIA energy inventory reports often give an opportunity to catch a market set up for a breakout move (most recent article is HERE). Today was another good example of the trade opportunities this report can provide. In the June 22 post I noted that I expected the $50 level… Read more. A “Crabel” Breakout Trade in Soybean Futures (7/5/2016)- The soybean futures had a breakout setup for Tuesday as Friday was an inside day with significant range contraction (Friday’s range was 31% of Thursday). These patterns gave us a heads up to look for a directional move (opens at one end of the range, closes on the other) and potentially a large trading range expansion. Today’s Taylor Trading Sell Day in eMini S&P Futures (6/28/2016)- Today the eMini S&P futures were on the Sell day of the Taylor Trading Technique cycle. This meant we anticipated seeing a rally to the previous day high, a move we saw this afternoon. The Taylor Trading Technique and Today’s Move in the eMini S&P Futures (6/24/2016)- The Taylor Trading Technique seeks to identify where short term trend changes are likely to occur. In last night’s Swing Trader’s Insight the eMini S&P was labeled a Sell Short day, meaning today we were looking for a cyclical downturn. Short Term Trade and Long Term Implications in Today’s Crude Oil Report? (6/22/2016)- The weekly EIA crude oil inventory report is released on Wednesday mornings, and it often provides good trade opportunities. We got a good setup and trade today, and today’s action may have longer term implications. I’ve previously written about trading in the energy futures around the EIA (government) inventory reports for crude oil (read it… Read more. Today’s Taylor Trading Buy Day in Crude Oil Futures (6/13/2016)- The Taylor Trading Technique normally uses the previous session high and low as reference prices for trade entries. However, sometimes overnight price action can give us more advantageous entries for the day session. Trading Natural Gas Futures After Today’s Inventory Report (6/9/2016)- The energy futures markets often show a big reaction to the weekly inventory reports from the US Department of Energy (the EIA reports) as they give data on both the supply and demand side of the energy supply picture. On Thursday mornings the EIA releases its natural gas storage report; this often gives a good… Read more. Today’s Taylor Trading Signal in eMini S&P Futures (5/18/2016)- In last night’s Swing Trader’s Insight, the eMini S&P futures were labeled a (Taylor Trading) Buy day. This meant we would look for the market to find early support at the previous day low and then rally. Here’s how this morning went. Employment Day Trade in eMini S&P Futures (2/5/2016)- The session before a big data day (like today’s employment report) often sees consolidative and directionless trade. This often resolves itself in a strong directional move after the data release. This move can be a good trade opportunity. The Dog Didn’t Bark- Today’s Crude Oil Futures Trade (2/3/2016)- This week’s crude oil inventory reports showed bigger than expected builds in US crude stocks, with inventories at all time highs for this time of year. Futures rallied in spite of this, giving us a good trade opportunity. A Friday Breakout Trade in the eMini S&P Futures (1/29/2016)- The stock index futures traded sideways this week, albeit in a relatively large range. Reflecting this, the eMini S&P had an inside and narrow range day on Thursday, which resolved itself in a strong rally on Friday as the broke out of the recent range. The eMini S&P Futures and Today’s Taylor Trading Cycle Trade (1/27/2016)- A trading session with a breakout rally is often followed by a Taylor Trading Technique Sell Short day. The eMini S&P futures followed this pattern today. Today’s Buy Day and Breakout Setup in eMini S&Ps (1/26/2016)- In last night’s Swing Trader’s Insight we noted that the eMini S&P futures had a Taylor Trading Technique Buy day signal for today as well as a breakout setup (NR7 day yesterday). In today’s STI morning watch list we reiterated the buy signal, noting that the breakout setup could lead to a large rally this morning. A Late Developing Buy Day in eMini S&P Futures (1/4/2016)- Today was a Taylor Trading Technique Buy day for the eMini S&P futures. The move took much of the session to get going but late developing moves are often strong as they squeeze out weak hands. Combining Overnight Trade and the Taylor Trading Technique to Trade eMini Futures (12/16/2015)- After a two day rally, today the eMini S&P futures were on the Sell Short day of the Taylor Trading Technique (TTT) cycle. Using the overnight trading range gave us an additional (and more favorable) reference price to trade against. A Loser and Then a Winner in E-mini S&P Futures Today (12/14/2015)- In last night’s Swing Trader’s Insight, the comment for the eMini S&P futures was “cover breakout sales, (Taylor Trading Technique) Buy day. This meant we would look for the market to potentially trade lower, find a bottom, and then rally. Buying Opportunity in eMini S&P Futures This Morning (12/4/2015)- In today’s Swing Trader’s Insight I noted the eMini S&P futures are on the Sell day of the Taylor Trading Technique cycle. This effectively gave us a buy signal for this morning. A Failed Breakout Trade Setup in eMini S&P Futures Today (12/2/2015)- In this morning’s Swing Trader’s Insight morning watch list I suggested we look to short the eMini S&P if the December futures dropped below 2098.00. We were looking for a short sale if an upside breakout failed. The Taylor Trading Technique and Today’s Buy Day in Soybean Futures (11/23/2015)- January soybean futures have been trading around support in the 850 area. Sunday night they attempted a downside breakout below that level; the rejection of the downside move proved to be a Taylor Trading Technique Buy day. The Post Fed Minutes Release Trade in eMini S&P Futures (11/18/2015)- The eMini S&P futures had a breakout setup for today; this fit well with today’s release of the highly anticipated release of the minutes of the last FOMC meeting. Today’s Taylor Trading Technique Sell Short Day Setup in Soybean Futures (11/18/2015)- The grain futures are often good trading markets for trade setups using the Taylor Trading Technique. Today’s Taylor Trading Sell Short day for the soybeans was a good example. Today’s Sell Short Day Signal in eMini S&P Futures (11/17/2015)- Today was a Taylor Trading Technique Sell Short day for the eMini S&P futures. It has been an interesting session so I thought I would go through how I saw the day. A Second Chance Sale in the eMini S&P Futures Today (11/12/2015)- When a market has a session with a strong directional move higher or lower, the following session usually has a move in the opposite direction (a Taylor Trading Technique cycle day) or residual momentum will continue the breakout move on the second day. Either pattern can be a trade opportunity. The Taylor Trading Cycle and Today’s Trade in eMini S&P Futures (11/10/2015)- The past two sessions in the stock index futures has been a good example of how the Taylor Trading Technique cycle works. Today’s Failed Breakout Trade Setup in eMini Russell Futures (11/9/2015)- Failed breakout moves can be great trade setups for the futures markets and Taylor Trading Technique setups are often a variation of this. Today’s trade in the eMini Russell futures was a good example of this. A Breakout Setup at Contract Lows in Lean Hog Futures Today (11/5/2015)- This week Lean hog futures had come down to test their contract low. This, combined with a breakout setup today, led to a good trade opportunity. Taylor Trading Technique Sell Short Day in eMini S&P Futures Today (11/4/2015)- Today the eMini S&P futures were on the Sell Short day of the Taylor Trading Technique cycle; here’s how we looked at it. Breakout and Taylor Trading Setup in eMini Russell Futures Today (11/2/2015)- The eMini Russell futures had both a breakout setup and a Taylor Trading Technique Buy day signal today. This combination of patterns made for a good trade setup today. Today’s Post FOMC Trade Opportunity in Euro FX Futures (10/28/2015)- Trends and market movements in the foreign exchange / currency futures markets are driven by interest rate differentials and trends in interest rates, As such; currency futures are often a great trading vehicle after central bank policy setting meetings. A Taylor Trading Technique Trade in Copper Futures (10/23/2015)- I use the Taylor Trading Technique (TTT) for much of the analysis for my Swing Trader’s Insight advisory. The TTT attempts to anticipate a market’s direction for a trading session and then trade accordingly; there was a good TTT trade today in the copper futures. Trading the Euro after Today’s ECB Meeting (10/22/2015)- Today’s ECB meeting coincided with a breakout setup on the daily chart, which I noted in last night’s Swing Trader’s Insight. This combination allowed us to anticipate a potentially explosive move today and gave the setup to take advantage of the move when it occurred. Breakout Setup and Trend Trade in Soybean Futures Today (10/13/2015)- Soybean futures had a breakout setup for today. This setup resulted in a strong trend move higher today. Trading Today’s Breakout Setup in Crude Oil Futures (10/12/2015)- Crude oil futures have had a big selloff today. In last night’s Swing Trader’s Insight, crude oil was identified as have a breakout setup, giving us a trade opportunity today. A Taylor Trading Technique Buy Day Trade in EMini S&P Futures (9/29/2015)- In last night’s edition of Swing Trader’s Insight I labeled today a (Taylor Trading Technique) Buy day for the EMini S&P futures. The market followed the script this morning, giving us a good trade opportunity. Today’s Breakout Trade in Gold Futures (9/9/2015)- Yesterday’s range contraction and doji bar gave gold futures a breakout setup for Wednesday, yielding a strong downside move this morning. Using Old Highs and Lows to Trade Stock Index Futures (9/9/2015)- The Taylor Trading Technique normally uses the previous session high and / or low as reference prices- levels to gauge market action and make trade entries and exits. However there are times when previous market highs and lows can give us a better picture of market action, helping us make better trading decisions. EMini S&P Trading- Using Premarket Highs and Lows as Reference Prices (9/3/2015)- In last night’s Swing Trader’s Insight I labeled the EMini S&P futures as a Taylor Trading Technique Sell short day. As long time readers know, I suggest we trade the stock index futures during the stock market hours (beginning at 8:30 AM CT) and that we can use overnight highs and lows in lieu of the previous day high and low that the TTT normally uses for the reference price. Using the Taylor Trading Technique in Trending Markets- EMini S&Ps (8/26/2015)- The recent down trend in stock index futures made Taylor Trading Technique signals less obvious. Sticking to a more mechanical cycle count can facilitate trading in these markets. Trading Today’s Breakout Setup in EMini S&P Futures (8/19/2015)- The EMini S&P had an NR7 day (narrowest trading range of the previous seven sessions) on Tuesday. This pattern told us to anticipate a breakout move today, which gave us a good trade opportunity this morning. Trading Today’s Taylor Trading Technique Signal in EMini S&P Futures (8/12/2015)- In last night’s edition of Swing Trader’s Insight I listed the EMini S&P futures as having a Taylor Trading Technique Buy day signal for today, and I reiterated that signal in this morning’s STI watch list. Here’s how I approached it. Today’s Taylor Trading Technique Trade in Soybean Futures (6/26/2015)- The Taylor Trading Technique seeks to identify market actions (moves) and then anticipate likely reactions in the opposite direction. The past two sessions in the soybean futures have been a good example of the action – reaction cycle. Today’s Breakout Setup Trade in Soybean Futures (6/25/2015)- In this morning’s watch list for Swing Trader’s Insight I commented that a rally above yesterday’s high could see follow through. This turned out to be a good trade opportunity; let’s take a look at it. Today’s Short Sale Opportunity in Crude Oil Futures (6/24/2015)- A large percentage of traders tend to do the wrong thing at the wrong time- emotion gets them to buy at the highs and sell at the lows. The Taylor Trading Technique seeks to anticipate and profit from situations where emotional trading is likely to occur. This gave us a good trade opportunity in crude oil today. Swing Trader’s Insight Futures Watch List for June 5 (6/5/2015)- This is the morning update of Swing Trader's Insight, a daily futures trading advisory published by Scott Hoffman. Today’s Breakout Sale in EMini S&P Futures (5/26/2015)- The stock index futures saw a sharp selloff today. For the EMini S&P futures, Friday's chart pattern told us to look for a strong directional move today. Here's how we traded it. Swing Trader’s Insight Futures Watch List for March 27 (3/27/2015)- This is the morning update of Swing Trader's Insight, a daily futures trading advisory published by Scott Hoffman. Trading Today’s Breakout Setup in the EMini Russell Futures (3/25/2015)- In last night’s Swing Trader’s Insight I labeled the EMini Russell futures as a breakout setup. This setup told us to anticipate a big market move today; here’s how we traded it. Swing Trader’s Insight Futures Watch List for March 25 (3/25/2015)- This is the morning update of Swing Trader's Insight, a daily futures trading advisory published by Scott Hoffman. Swing Trader’s Insight Futures Watch List for March 20 (3/20/2015)- This is the morning update of Swing Trader's Insight, a daily futures trading advisory published by Scott Hoffman. Swing Trader’s Insight Futures Watch List for March 19 (3/19/2015)- This is the morning update of Swing Trader's Insight, a daily futures trading advisory published by Scott Hoffman. Swing Trader’s Insight Futures Watch List for March 16 (3/16/2015)- This is the morning update of Swing Trader's Insight, a daily futures trading advisory published by Scott Hoffman. Swing Trader’s Insight Futures Watch List for March 13 (3/13/2015)- This is the morning update of Swing Trader's Insight, a daily futures trading advisory published by Scott Hoffman. Swing Trader’s Insight Futures Watch List for March 11 (3/11/2015)- This is the morning update of Swing Trader's Insight, a daily futures trading advisory published by Scott Hoffman. How I Traded Today’s Breakout Setup in EMini SP Futures (3/10/2015)- In last night’s Swing Trader’s Insight I noted that the stock index futures had breakout setups for today. Here’s how you could have used this information to trade this morning. Swing Trader’s Insight Futures Watch List for March 10 (3/10/2015)- This is the morning update of Swing Trader's Insight, a daily futures trading advisory published by Scott Hoffman. Swing Trader’s Insight Futures Watch List for March 9 (3/9/2015)- This is the morning update of Swing Trader's Insight, a daily futures trading advisory published by Scott Hoffman. Swing Trader’s Insight Futures Watch List for March 5 (3/5/2015)- This is the morning update of Swing Trader's Insight, a daily futures trading advisory published by Scott Hoffman. Swing Trader’s Insight Futures Watch List for February 27 (2/27/2015)- This is the morning update of Swing Trader's Insight, a daily futures trading advisory published by Scott Hoffman. Swing Trader’s Insight Futures Watch List for February 13 (2/13/2015)- This is the morning update of Swing Trader's Insight, a daily futures trading advisory published by Scott Hoffman. Swing Trader’s Insight Futures Watch List for February 10 (2/10/2015)- This is the morning update of Swing Trader's Insight, a daily futures trading advisory published by Scott Hoffman. Patience Rewarded: Today’s Short Sale in EMini S&P Futures (2/6/2015)- The EMini S&P futures were on the Sell Short day of the Taylor Trading Technique cycle. Here’s how you could have traded it. Trading Today’s Breakout Setup in Gold Futures (2/6/2015)- In last night’s Swing Trader’s Insight advisory I labeled gold futures as a breakout setup. The combination of the daily triangle and Friday’s employment report made a breakout move likely for Friday; this signal worked well today. Swing Trader’s Insight Futures Watch List for February 6 (2/6/2015)- This is the morning update of Swing Trader's Insight, a daily futures trading advisory published by Scott Hoffman. Swing Trader’s Insight Futures Watch List for February 5 (2/5/2015)- This is the morning update of Swing Trader's Insight, a daily futures trading advisory published by Scott Hoffman. Today’s Short Sale in EMini SP Futures (1/30/2015)- In this morning’s watch list for Swing Traders Insight I wrote that I was interested in shorting the EMini S&P futures, pointing to the 2007.75 level as resistance. Here’s how you could have traded this. Swing Trader’s Insight Futures Watch List for January 30 (1/30/2015)- This is the morning update of Swing Trader's Insight, a daily futures trading advisory published by Scott Hoffman. Swing Trader’s Insight Futures Watch List for January 29 (1/29/2015)- This is the morning update of Swing Trader's Insight, a daily futures trading advisory published by Scott Hoffman. Swing Trader’s Insight Futures Watch List for January 27 (1/27/2015)- This is the morning update of Swing Trader's Insight, a daily futures trading advisory published by Scott Hoffman. Swing Trader’s Insight Futures Watch List for January 21 (1/21/2015)- This is the morning update of Swing Trader's Insight, a daily futures trading advisory published by Scott Hoffman. Swing Trader’s Insight Futures Watch List for January 15 (1/15/2015)- This is the morning update of Swing Trader's Insight, a daily futures trading advisory published by Scott Hoffman. Trading Today’s Mean Reversion Signal in EMini S&P Futures (1/14/2015)- In last night’s Swing Trader’s Insight I wrote that we should look for a “mean reversion day” in the EMini S&P futures. Here’s how I traded this signal. Swing Trader’s Insight Futures Watch List for January 14 (1/14/2015)- This is the morning update of Swing Trader's Insight, a daily futures trading advisory published by Scott Hoffman. Swing Trader’s Insight Futures Watch List for January 12 (1/12/2015)- This is the morning update of Swing Trader's Insight, a daily futures trading advisory published by Scott Hoffman. Today’s Sell Short Day Trade in the EMini S&P Futures (1/9/2015)- For the EMini S&P futures today, a combination of patterns told traders to anticipate an early session rally above the previous session high. We would look for this rally to fail, and then get short when the market started moving lower. Swing Trader’s Insight Futures Watch List for January 9 (1/9/2015)- This is the morning update of Swing Trader's Insight, a daily futures trading advisory published by Scott Hoffman. Swing Trader’s Insight Futures Watch List for January 7 (1/7/2015)- This is the morning update of Swing Trader's Insight, a daily futures trading advisory published by Scott Hoffman. Swing Trader’s Insight Futures Watch List for January 5 (1/5/2015)- This is the morning update of Swing Trader's Insight, a daily futures trading advisory published by Scott Hoffman. Today’s Taylor Trading Signal in Gold Futures (1/2/2015)- The Taylor Trading Technique had a Buy day signal for gold futures. A test of the recent low provided a trade setup. Swing Trader’s Insight Futures Watch List for December 31 (12/31/2014)- This is the morning update of Swing Trader's Insight, a daily futures trading advisory published by Scott Hoffman. Swing Trader’s Insight Futures Watch List for December 30 (12/30/2014)- This is the morning update of Swing Trader's Insight, a daily futures trading advisory published by Scott Hoffman. Swing Trader’s Insight Futures Watch List for December 29 (12/29/2014)- This is the morning update of Swing Trader's Insight, a daily futures trading advisory published by Scott Hoffman. Swing Trader’s Insight Futures Watch List for December 24 (12/24/2014)- This is the morning update of Swing Trader's Insight, a daily futures trading advisory published by Scott Hoffman. Today’s Breakout Trade in Silver and Gold Futures (12/22/2014)- Friday’s chart pattern told us to anticipate a breakout move for gold and silver futures today, and a good selloff ensued today. Swing Trader’s Insight Futures Watch List for December 22 (12/22/2014)- This is the morning update of Swing Trader's Insight, a daily futures trading advisory published by Scott Hoffman. Swing Trader’s Insight Futures Watch List for December 19 (12/19/2014)- This is the morning update of Swing Trader's Insight, a daily futures trading advisory published by Scott Hoffman. Swing Trader’s Insight Futures Watch List for December 15 (12/15/2014)- This is the morning update of Swing Trader's Insight, a daily futures trading advisory published by Scott Hoffman. A Taylor Trading Technique Buy Day Trade in Soybean Futures Today (12/11/2014)- The Taylor Trading Technique is largely based on the principle of action and reaction- a move in one direction today will often see a reactionary move in the opposite direction tomorrow. This is a frequent occurrence in the session following a breakout move. Swing Trader’s Insight Futures Watch List for December 11 (12/11/2014)- This is the morning update of Swing Trader's Insight, a daily futures trading advisory published by Scott Hoffman. A Breakout Trade Opportunity Today in Crude Oil Futures (12/10/2014)- The weekly EIA petroleum inventory report is normally released on Wednesday mornings; it often gives trade opportunities regardless of what the market is doing ahead of the release. Swing Trader’s Insight Futures Watch List for December 10 (12/10/2014)- This is the morning update of Swing Trader's Insight, a daily futures trading advisory published by Scott Hoffman. Swing Trader’s Insight Futures Watch List for December 8 (12/8/2014)- This is the morning update of Swing Trader's Insight, a daily futures trading advisory published by Senior Broker Scott Hoffman. Swing Trader’s Insight Futures Watch List for December 4 (12/4/2014)- This is the morning update of Swing Trader's Insight, a daily futures trading advisory published by Scott Hoffman. Swing Trader’s Insight Futures Watch List for December 3 (12/3/2014)- This is the morning update of Swing Trader's Insight, a daily futures trading advisory published by Scott Hoffman. A Taylor Trading Technique Sell Short day for Treasury Bond Futures (12/1/2014)- Treasury Bond futures had a breakout rally on Friday. By the Taylor Trading Technique this meant a Sell Short day for Monday. As the rally had pushed to a Fibonacci retracement resistance level, bonds were a market to watch today. Swing Trader’s Insight Futures Watch List for November 28 (11/28/2014)- This is the morning update of Swing Trader's Insight, a daily futures trading advisory published by Scott Hoffman. Swing Trader’s Insight Futures Watch List for November 26 (11/26/2014)- This is the morning update of Swing Trader's Insight, a daily futures trading advisory published by Scott Hoffman. Trading Today’s Breakout Setup in EMini S&P Futures (11/25/2014)- Observing market behavior around previous highs and lows can give you not only insight as to a market’s likely direction, it can often be used for trade signals as well. Swing Trader’s Insight Futures Watch List for November 25 (11/25/2014)- This is the morning update of Swing Trader's Insight, a daily futures trading advisory published by Scott Hoffman. A Taylor Trading Technique Look at eMini S&P Futures Today (11/21/2014)- In last night’s Swing Trader’s Insight update I labeled the eMini S&P futures as an “exit breakout buys, Sell Short day” setup. The Sell Short day refers to the Sell Short day of the Taylor Trading Technique cycle. The overnight rally changed the picture a bit but we still ended up getting a trade out of it today. One Breakout Setup, Two Trades Today in the eMini Russell Futures (11/12/2014)- The stock index futures had a breakout setup for today. For the eMini Russell futures this resulted in two trade opportunities- one overnight and another for the day session. Trading Today’s Rally in Soybean Futures (11/11/2014)- The Taylor Trading Technique identified today as a Buy day for soybean futures. This gave us a good trade opportunity as the daily up trend resumed. Swing Trader’s Insight Futures Watch List for November 7 (11/7/2014)- Dec. eMini S&P Futures: It’s a Taylor Trading Technique Sell Short day; 2028.75 is the reference price. The longer term trend is up- be careful with shorts and don’t try to sell into strength. Another Trend Capture Trade in Soymeal Futures (11/6/2014)- Soymeal futures have been on a strong rally from the October low and have presented some good opportunities to catch the trend on the way up. Today was another example of this. A Taylor Trading Technique Trade Today in eMini SP Futures (11/3/2014)- Today the stock index futures are on the Sell Short day of the Taylor Trading Technique cycle. A TTT Sell Short day tells us to look for an initial rally to fail; we then look to go short when the market starts moving lower. Swing Trader’s Insight Futures Watch List for November 3 (11/3/2014)- Dec. eMini S&P Futures: It’s a Taylor Trading Technique Sell Short day; reference prices are 2016.75 and 2014.50. The ISM report at 9 AM has the potential for a breakout move. Another Taylor Trading Technique Trade in Soybean Futures (10/31/2014)- The grain futures are often good markets to trade using the Taylor Trading Technique methods I use for the Swing Trader’s Insight advisory. Today there was a good setup in the soybean futures. A Sell Short Day Trade for eMini SP Futures on Fed Day (10/29/2014)- A basic principle of the Taylor Trading Technique is of action and reaction- that a move I one direction today is likely to result in a move in the opposite direction. That’s especially the case in a session after a market has made a breakout move. Trading Today’s Breakout Setup in Soymeal Futures (10/27/2014)- The Taylor Trading Technique relies on using a session’s predominant direction of movement to anticipate a market’s likely direction for the following session. If a session doesn’t show a clear direction and / or if it shows a contraction in trading range, we look for a breakout move in the following session. That’s what soymeal futures showed this morning. Swing Trader’s Insight Futures Watch List for October 27 (10/27/2014)- Dec. e Mini S&P Futures: It’s a Taylor Trading Technique Sell Short day. 1961.25 is the SS day reference price; 1950.75 is the first downside target (100 day SMA) and 1943.00 is next. Trading Today’s Taylor Trading Technique Signal in Soybeans (10/23/2014)- The Taylor Trading Technique often looks for retests of a previous day high or low for trade entry signals. However, in trending markets we may not get pullbacks. In these situations overnight activity can give us additional trade setups to look for. Swing Trader’s Insight Futures Watch List for October 23 (10/23/2014)- Dec. eMini S&P Futures: Wednesday was an NR7 day so we should anticipate a breakout move- look to buy a rally above 1943.75 (Weds. high) or a break below 1920.25 (Weds. low). By the Taylor Trading Technique today is a Buy day; I might also look to buy a failed selloff. Swing Trader’s Insight Futures Watch List for October 20 (10/20/2014)- Dec. eMini S&P Futures: It’s a Taylor Trading Technique Sell Short day. There was a high violation sale overnight (Friday high was 1891.75). From here there is resistance at 1883.50 and double bottom support at 1870. Swing Trader’s Insight Futures Watch List for October 17 (10/17/2014)- Dec. eMini S&P Futures: It’s a Taylor Trading Technique Sell day; Thursday’s inside day / doji pattern indicates there could be a good rally today. Watch 1869.75 (Thursday high) as a pivot point for extending the rally; resistance is the overnight double top at 1878.75. Swing Trader’s Insight Futures Watch List for October 15 (10/15/2014)- Dec. eMini S&P Futures: It’s a Taylor Trading technique Sell Short day so we should anticipate the market moving lower today. As Tuesday was an inside day, watch 1864.75 (Monday’s low) as downside pivot this morning, and then the 1850 area. Today’s Taylor Trading Technique Trade in Natural Gas Futures (10/14/2014)- The Taylor Trading Technique says that markets tend to trend in one direction for two or three sessions before it reverses direction. However, when a market makes a move out of a breakout setup it often moves in the opposite direction in the following session. Knowing this can add an additional pattern to trade. Swing Trader’s Insight Futures Watch List for October 14 (10/14/2014)- Dec. eMini S&P Futures: It’s a Taylor Trading Technique Sell day- look for a rally, and we should likely anticipate a Sell Short day for Wednesday. There’s trend line resistance at the overnight high of 1881.00; the Fibonacci retracement level at 1884.75 would be next. Swing Trader’s Insight Futures Watch List for October 10 (10/10/2014)- Dec. eMini S&P Futures: It’s a Taylor Trading Technique Buy day; 1915.25 is the Buy day reference price. Recent volatility may make for hair trigger moves today. For now I would watch the 1919 area as a pivot point; the next support would be 1914.50. Swing Trader’s Insight Futures Watch List for October 9 (10/9/2014)- Dec. eMini S&P Futures: Wednesday was a Taylor Trading Technique Buy day (I went through this trade in yesterday’s webinar) so we have a TTT Sell day for Thursday. Given the size of yesterday’s rally it’s not surprising to see a selloff today; 1950.00 (the 100 day SMA) would be the next downside target. The real question is whether we’ve seen the end of the downtrend. I suspect not but time will tell. Today’s Taylor Trading Technique Sale in Gold Futures (10/8/2014)- Today gold futures were on the Sell Short day of the Taylor Trading Technique cycle, and there was a good selloff this morning. Swing Trader’s Insight Futures Watch List for October 8 (10/8/2014)- Dec. eMini S&P Futures: It’s a “cover breakout sales” day so a Taylor Trading Technique Buy day is anticipated. First support is 1930.00; watch the overnight low of 1925.75 as a potential Buy day reference price. There’s resistance at 1933.50; clearing that area could target 1939. Trading Today’s Breakout Setup in Treasury Bond Futures (10/7/2014)- Markets often trade in an action and reaction fashion. If a market rallies today, it is likely to sell off tomorrow, or vice versa. When a market shows a lack of direction for a given session, if indicates we should anticipate a different type of trade opportunity for the following session. Swing Trader’s Insight Futures Watch List for October 7 (10/7/2014)- Dec. eMini S&P Futures: There are two potential setups for today. First, a Taylor Trading Technique Buy day, 1950.50 is the reference price for it. The second setup is a potential breakout (NR4, doji yesterday). For the downside breakout we can watch the overnight low of 1944.75; there’s Fibonacci retracement there as well. Trade or Fade (my breakout trade advisory) has today’s breakout levels at 1967.00 on the upside and 1939.50 down. Today’s TTT Sell Short day for the eMini SP Futures (10/6/2014)- Today the eMini S&P futures are on the Sell Short day of the Taylor Trading Technique cycle. The TTT is all about anticipating trend changes; when we are able to anticipate market turns we can more easily identify trade opportunities. Swing Trader’s Insight Futures Watch List for October 6 (10/6/2014)- Dec. eMini S&P Futures: By the Taylor Trading Technique it’s a Sell Short day, 1964.50 is the “official” reference price. For the day session I would use the overnight high of 1970.50; the 20 day EMA provides a pivot point there as well. Watch the Fibonacci retracement level at 1966.50 for longer term trend indication. Swing Trader’s Insight Futures Watch List for October 3 (10/3/2014)- Dec. eMini S&P Futures: It’s a Taylor Trading Technique Sell day; obviously the bulls weren’t satisfied with yesterday’s rally. Watch the 1949.00 area as a reference price this morning; Monday’s low of 1955.50 is the next rally resistance / objective. Today’s Taylor Trading Technique Signal for the EMini SP Futures (10/2/2014)- Yesterday the eMini S&P futures made a big down move out of a breakout setup. By the Taylor trading Technique, we would anticipate a Buy day for the following session. The rally started relatively late in the session and followed an early plunge, but we did see the rally that the TTT told us to expect. The Taylor Trading Technique- How to Find Trade Entries in Trending Markets (10/1/2014)- In this morning’s Swing Trader’s Insight watch list (read it HERE) I noted that the December live cattle futures were on a Buy day according to the Taylor Trading Technique. Cattle are is a strong uptrend; finding trend entries in a strongly trending market can be a challenge. Before Monday, 163.87 had been the contract… Read more. Swing Trader’s Insight Futures Watch List for October 1 (10/1/2014)- Dec. eMini S&P Futures: It has a breakout setup (NR7, doji). I’ll look for a potential breakout move after the 8:30 open. For breakout reference prices we can watch 1967.00 (overnight high) on the upside; 1957.75 (overnight low) and 1955.50 (Monday low) on the downside. Swing Trader’s Insight Futures Watch List for September 30 (9/30/2014)- Dec. eMini S&P Futures: By the Taylor Trading Technique I have today as a Sell Short day; 1977.00 is the reference price. Make sure there’s downside momentum before shorting it. Swing Trader’s Insight Futures Watch List for September 29 (9/29/2014)- Dec. eMini S&P Futures: It’s a Taylor Trading Technique Sell day; the daily down trend and breakout setups in the other stock indices add to the downside pressure. Watch the 1968 area as an upside pivot point this morning and Friday’s low of 1956.50 down. Swing Trader’s Insight Futures Watch List for September 26 (9/26/2014)- Dec. T Bond Futures: It’s an “exit breakout buys” day so a Taylor Trading Technique Sell Short day can be anticipated; 138-00 is the SS day reference price. 137-30 is a significant Fibonacci retracement level and an indication for longer term trend. Swing Trader’s Insight Futures Watch List for September 25 (9/25/2014)- Dec. T Bond Futures: Taylor Trading Technique Buy day, so we should look for a rally. Wednesday was an inside day- will a move above the Wednesday high of 137-18 start an upside breakout move? 137-30 would be the first rally objective. There’s a TTT buy day / breakout setup combination in the 10 year T Note futures as well. Adapting the Taylor Trading Technique to Today’s Action in the eMini SP Futures (9/24/2014)- The Taylor Trading Technique can still be effective for trading stock index futures like the eMini S&P futures; the key is adapting to the around the clock nature of electronic markets. Swing Trader’s Insight Futures Watch List for September 24 (9/24/2014)- Dec. Euro: Another “exit b.o. buys” / Taylor Trading Technique Sell Short day setup; watch Monday’s low of 128.24 as a pivot point for the selloff. Swing Trader’s Insight Futures Watch List for September 22 (9/22/2014)- Nov. Soybeans: It’s due for a TTT Buy day however we don’t want to go long until we see upside momentum. Maybe we’ll see a rally when the day session gets going- watch the overnight low at 941-0. Even though it looks “cheap” longer term, don’t use that as an excuse for trying to pick a bottom. Swing Trader’s Insight Futures Watch List for September 19 (9/19/2014)- Dec. eMini S&P Futures: Thursday was a rally out of a doji; anticipate an “exit breakout buys” / Taylor Trading Technique Sell Short day today. Yesterday’s high of 2005.50 is the SS day reference price and you can also watch the overnight swing low at 2007.50 as a reference price. Downside levels to watch are 2004.50 (daily trend line) and 2002.75 (9/3 swing high). Swing Trader’s Insight Futures Watch List for September 18 (9/18/2014)- Dec. eMini Dow Futures: Breakout setup (NR4, doji); will another move above yesterday’s high (17134) see a breakout rally? Swing Trader’s Insight Futures Watch List for September 17 (9/17/2014)- Dec. eMini S&P Futures: It’s an “exit breakout buys” day so a Taylor Trading Technique Sell Short day is anticipated; 1994.50 is the reference price for it. Look for a potential breakout move after the FOMC meeting communique and again during / after Yellen’s press conference. I would likely favor the short side post-FOMC although logic says to keep an open mind, and the market may be volatile. Today’s Taylor Trading Technique Setup in the eMini NASDAQ Futures (9/16/2014)- Monday’s stock market selloff gave a Taylor Trading Technique Buy day setup for the eMini NASDAQ futures. Today’s action was a textbook TTT Buy day rally. Swing Trader’s Insight Futures Watch List for September 16 (9/16/2014)- Dec. eMini S&P Futures: Breakout setup (NR7, doji). Chart based breakout levels are yesterday’s high of 1979.00 and low of 1968.00. Trade or Fade (my breakout trade advisory) has breakout levels at 1984.25 up and 1969.25 down. Crude Oil Futures- The Taylor Trading Technique and a Way to Trade Mondays (9/15/2014)- Trade signals for the Taylor Trading Technique are clear cut much of the time. We should look to go long on a TTT Buy day and go short on a TTT Sell Short day. On occasion Mondays can be an exception to this; here’s an example of how to identify and trade an exception. Swing Trader’s Insight Futures Watch List for September 15 (9/15/2014)- Dec. eMini S&P Futures: It’s on the Buy day of the Taylor Trading Technique cycle. Friday’s low of 1979.50 is the “official Buy day reference price; watch last Wednesday’s low of 1973.75 as a pivot point for a rally. Upside objectives are 1985.50 and then 1980. Swing Trader’s Insight Futures Watch List for September 12 (9/12/2014)- Dec. eMini S&P Futures: It’s a Taylor Trading Technique Sell Short day. Yesterday’s high of 1999.50 is the SS day reference price; downside targets are 1985.75 and then 1982.50. Swing Trader’s Insight Futures Watch List for September 11 (9/11/2014)- December eMini SP Futures: It’s a Taylor Trading Technique Sell day, however, with the daily trend turning down I might consider being short below the Fibonacci retracement level at 1981.00. Support is at 1977.75 (20 day EMA) and then yesterday’s low of 1973.75. Swing Trader’s Insight Futures Watch List for September 10 (9/10/2014)- Sept. eMini S&P Futures: “cover breakout sales” day so a Taylor Trading Technique Buy day is anticipated- use the overnight low of 1985.50 and Tuesday’s low of 1983.25 as reference prices. On the upside watch last Thursday’s low of 1988.25 as a pivot point. Today’s Sell Short Day / Breakout Setup Combination for the eMini Russell Futures (9/9/2014)- The stock index futures had interesting setups for today. It was the second bullish session, so the Taylor Trading Technique would suggest a Sell Short day for Tuesday. They also had NR4 days on Monday, which told us to anticipate a breakout move for Tuesday. Swing Trader’s Insight Futures Watch List for September 9 (9/9/2014)- Sept. eMini S&P Futures: Monday was an ID, NR4 day- will we see a breakout move today? I’d watch 2005.25 (trend line) as the first reference price for an upside breakout and Monday’s low of 1994.00 on the downside. Using the Taylor Trading Technique to Anticipate a Selloff in Gold Futures (9/8/2014)- According to the Taylor Trading Technique, a Sell day is a transition day. It is a session in which Taylor’s “smart money” traders sell out long positions they bought on the previous (Buy) day. The TTT Sell day is the session preceding a Sell Short day, in which the “smart money” shorts the market as it tops out and then sells off. Swing Trader’s Insight Futures Watch List for September 8 (9/8/2014)- Sept eMini S&P Futures: It’s on the Sell day of the Taylor Trading Technique cycle; this suggests we look for a two sided trade today. It spent much of the night in a channel between 2001.75 and 2004.50. Swing Trader’s Insight Futures Watch List for September 5 (9/5/2014)- Sept. eMini S&P Futures: With the overnight selloff today looks like a Taylor Trading Technique Buy day; the Thursday low of 1990.75 is the Buy day reference price. The overnight high of 1999.50 is the first rally target- back to the middle of the recent range. Swing Trader’s Insight Futures Watch List for September 4 (9/4/2014)- Sept. eMini NASDASQ Futures: Taylor Trading Technique Buy day. Overnight there was a low violation buy (4062.50). Now we should watch for support at 4075; the Fibonacci retracement level at 4086.50 is first resistance. A Taylor Trading Technique Sell Short Day for the eMini Russell Futures (9/3/2014)- By the Taylor Trading Technique (TTT) the eMini Russell futures are on the Sell Short day of the cycle today. This meant we would anticipate an initial rally that would fail and lead to a selloff. The key would be to look for where and when the rally failed and short the market when it turned down. Swing Trader’s Insight Futures Watch List for September 3 (9/3/2014)- Sept. eMini S&P Futures: Will it make a directional move after two doji days? Watch yesterday’s high of 2006.25 as a pivot point for the upside; the last intraday high of 2008.75 is first resistance. Swing Trader’s Insight Futures Watch List for September 2 (9/2/2014)- Sept. eMini S&P Futures: By the Taylor Trading Technique it’s a Sell Short day. Friday’s high of 2003.75 is the reference price; I would also watch last week’s swing high of 2002.75 as a pivot point for a selloff. How to Trade Today’s Breakout Setup in Lean Hog Futures (8/29/2014)- Lean hog futures had a breakout setup for today. Meats are a market sector where entry signals often occur relatively late in the session, which can give you more time to take a trade. Swing Trader’s Insight Futures Watch List for August 29 (8/29/2014)- Sept. eMini S&P Futures: It’s a Taylor Trading Technique Sell day; yesterday’s wide range may keep a follow through rally from going too far. Tuesday’s high of 2002.75 is a pivot point on the upside; 1995.50 is first support. Swing Trader’s Insight Futures Watch List for August 28 (8/28/2014)- Sept. eMini S&P Futures: Breakout setup (ID, NR7, doji). Yesterday’s low of 1993.50 was the first reference price for a downside breakout; now I would watch it on the upside. On the downside start with the overnight low of 1987.50. Swing Trader’s Insight Futures Watch List for August 27 (8/27/2014)- Sept. eMini NASDAQ Futures: Breakout setup (ID, NR7). For breakout reference prices watch Monday’s high of 4078.50; on the downside start with the 4067 area. Trade or Fade (my breakout trade advisory) has its breakout levels at 4083 on the upside and 4063.50 down. Swing Trader’s Insight Futures Watch List for August 26 (8/26/2014)- Sept. eMini S&P Futures: It’s an “exit breakout buys” day so a Taylor Trading Technique Sell Short day is anticipated- Monday’s high of 1999.75 is the reference price. We should look to short it only when we see bearish momentum. Swing Trader’s Insight Futures Watch List for August 25 (8/25/2014)- Sept. eMini SP Futures: Rally out of a breakout setup (ID, NR7). Thursday’s high of 1992.00 was the first reference price for an upside breakout; watch it as a pivot point now. Swing Trader’s Insight Futures Watch List for August 22 (8/22/2014)- A fair number of financial markets have breakout setups for today. The best catalyst for breakout moves may be Fed Chair Yellen’s speech at 9 AM CT as traders want to see if she gives any insight as to the Fed’s exit strategy from its asset purchase QE. Today’s Short Sale in Silver Futures (8/19/2014)- By the Taylor Trading Technique today was a Sell day in the TTT cycle. However, Monday’s range contraction, doji bar and the daily down trend meant a short sale opportunity might come a day early. Swing Trader’s Insight Futures Watch List for August 19 (8/19/2014)- Sept. Euro: Monday was an NR4 day. Today there was a downside breakout below the 2014 low of 1.3335; use that as a pivot point this morning. Trade or Fade and Today’s Breakout Move in Crude Oil Futures (8/18/2014)- Trade or Fade is an offshoot of my Swing Trader’s Insight advisory. Breakout setups are one of my favorite patterns to trade- they identify markets that are potentially set up for a strong move in one direction. I have a set of patterns I use to anticipate breakout setups for Swing Trader’s Insight however I was looking to broaden the patterns used to identify breakout setups and give additional price levels to use to trade breakouts. Swing Trader’s Insight Futures Watch List for August 18 (8/18/2014)- Sept. eMini SP Futures: By the Taylor Trading Technique today is a Buy day although there wasn’t any sort of low violation for a regular TTT Buy day setup. Friday’s high of 1961.00 is a pivot point; next support would be 1956.75. Today’s Taylor Trading Technique Trade in the eMini SP Futures (8/15/2014)- By the Taylor Trading Technique, today was the Sell Short day for the eMini SP futures, as stated in last night’s Swing Trader’s Insight update. Thursday’s narrow range was a sign to be cautious but the Sell Short day setup ended up working well. Swing Trader’s Insight Futures Watch List for August 15 (8/15/2014)- Sept. eMini S&P Futures: By the Taylor Trading Technique we would anticipate a Sell Short day today. However, Thursday was an NR7 day so there’s also the potential for a breakout move, which could push it higher. In either case, Thursday’s high of 1955.00 is the reference price. An Early Entry for Today’s Breakout Setup in Crude Oil Futures (8/14/2014)- Crude oil futures had a breakout setup for today as Wednesday was an NR7 day. For a breakout trade I will often use the previous session high and low as breakout reference prices. However, with crude oil in a strong daily down trend I was interested in finding an early entry for a downside breakout. Swing Trader’s Insight Futures Watch List for August 14 (8/14/2014)- Sept. eMini S&P Futures: It’s an “exit breakout buys” day so a Taylor Trading Technique Sell Short day is anticipated- Wednesday’s high of 1946.50 is the reference price for it. There’s support in the 1941 area- Monday’s swing high and the 20 day EMA. Using Old Lows and Highs as Reference Prices for Futures Trading in Live Cattle (8/12/2014)- In this morning’s Swing Trader’s Insight watch list I pointed out that for the October Live Cattle futures the 11 July low of 149.45 could be used as the reference price for a short sale. Here’s what you could do with that information. Swing Trader’s Insight Futures Watch List for August 12 (8/12/2014)- Dec. Gold: Breakout setup (ID, NR7, doji). I like the long side above 1312.90 and 1315.50 is an upside pivot level. Trade or Fade (my breakout trade advisory) has the upside breakout level at 1316.80 and the first target at 1324.50. Using the Taylor Trading Technique and Fibonacci to Trade Soybean Futures (8/11/2014)- The soybean futures rallied about 30 cents last week, closing on the weekly highs on Friday. The rally pushed up to a significant Fibonacci retracement level and set the stage for a trade opportunity for Monday. Swing Trader’s Insight Futures Watch List for August 11 (8/11/2014)- Sept. eMini SP Futures: It’s a Taylor Trading Technique Sell day. Friday’s high range close made it likely we’d see further rally. Last week’s high of 1937.50 is the next rally objective. We should be anticipating a Sell Short day- either a reversal today or for Tuesday. The Taylor Trading Technique and Today’s Rally in eMini SP Futures (8/8/2014)- In this morning’s Swing Trader’s Insight watch list, my comment for the eMini S&P futures was: “It looks like we have a “cover breakout sales” day so a Taylor Trading Technique Buy day is in order.” (Read that HERE). Let’s take a look at the why (if you’re a TTT follower you might be asking this) and how you could trade it. Swing Trader’s Insight Futures Watch List for August 8 (8/8/2014)- Sept. eMini S&P Futures: It looks like we have a “cover breakout sales” day so a Taylor Trading Technique Buy day is in order. 1908.00 should be a pivot point for the rally; the 1914.00 area would be the next target. Swing Trader’s Insight Futures Watch List for August 7 (8/7/2014)- Sept. eMini S&P Futures: It’s a Taylor Trading Technique Sell day. Yesterday’s high of 1923.50 is the TTT objective; holding above there could extend the rally. We should anticipate as TTT Sell Short day for Friday. A Textbook Taylor Trading Technique Buy Day for the eMini SP Futures Today (8/6/2014)- Although yesterday’s blog post was about crude oil futures (read it here), I added a brief comment about yesterday’s Taylor Trading Technique signal for the EMini S&P futures, that they were on the Sell Short day of the TTT cycle. This meant today we would anticipate a TTT Buy day, and the result was a textbook Buy day rally today. Swing Trader’s Insight Futures Watch List for August 6 (8/6/2014)- Sept. eMini S&P Futures: It’s a Taylor Trading Technique Buy day; yesterday’s low of 1907.50 is the reference price and the evening low of 1911.00 is first resistance. Swing Trader’s Insight Futures Watch List for August 5 (8/5/2014)- Sept. eMini S&P Futures: It’s a Taylor Trading Technique Sell Short day. With the daily trend down it appears unlikely we’ll see a retracement toward Monday’s high; I would look for a move back to the previous overnight low around 1928.00 and the 1923.75 area as a pivot point for the selloff. Swing Trader’s Insight Futures Watch List for August 4 (8/4/2014)- Sept. eMini S&P Futures: It’s a Taylor Trading Technique Sell day so a rally is / was in order. There are two objectives for the Sell day. First is Friday’s post jobs report high of 1926.75. Second is Friday’s session high of 1932.25. Given the daily down trend I’d be cautious with the long side today. Swing Trader’s Insight Futures Watch List for August 1 (8/1/2014)- Sept. eMini Russell Futures: TTT Buy day. 1114.80 is the Buy day reference price; bulls need to push it back above the 1124.00 area. Swing Trader’s Insight Futures Watch List for July 31 (7/31/2014)- Sept. eMini NASDAQ Futures: In last night’s STI I labeled today a Taylor Trading Technique Sell Short day but is there more downside after last night’s selloff? Monday’s low of 3929.00 is a pivot point today; watch 3951.00 on the upside. Today’s Breakout Trade in Lean Hog Futures (7/30/2014)- In this morning’s Swing Trader’s Insight Watch List, one of the setups I pointed out was the breakout setup in the lean hog futures (read the watch list HERE). I like to trade markets that still have decent pit volume or otherwise seem to get going later in the morning (stock indices, grains, livestock) as they often give trade opportunities at “reasonable” hours (i.e., not 3 AM); today’s hog trade was a good example. Swing Trader’s Insight Futures Watch List for July 30 (7/30/2014)- Sept. eMini Russell: Last night I labeled the Russell as a breakout candidate; that’s the type of trade we’ve seen thus far today. For now I would watch the Tuesday high of 1146.20 as a pivot point for the rally; 1152.30 would be the next rally target. As with the other stock indices; keep an open mind as to direction post-FOMC. The TTT and Sell Days in the eMini S&P Futures (7/29/2014)- The eMini S&P was on the Sell day of the TTT cycle for today. Monday was the Buy day of the cycle, and the rally off early morning lows was the result. In addition, the fact that it was the first day of a two day FOMC meeting made a two sided trade more likely, as traders would be less likely to want to commit to new positions with heightened expectations for increased volatility and uncertain direction after the meeting. Swing Trader’s Insight Futures Watch List for July 29 (7/29/2014)- Sept. eMini S&P Futures: It’s a Taylor Trading Technique Sell day. That means we can expect some upside follow through from yesterday’s rally but it likely won’t race higher. Tomorrow will be the Sell Short day of the TTT cycle. Swing Trader’s Insight Futures Watch List for July 28 (7/28/2014)- Sept. eMini S&P Futures: It’s a “cover breakout sales” day so a Taylor Trading Technique Buy day is anticipated. Friday’s low of 1968.00 is the Buy day reference price; there was a low violation buy overnight. For the day session I’d look for another test of Friday’s low or a rally above resistance- for now that’s 1972.00 and then the overnight high of 1973.25. The 1976 area is the first rally target. Swing Trader’s Insight Futures Watch List for July 25 (7/25/2014)- Sept. eMini S&P Futures: Breakout setup (NR7, doji). Watch the overnight low (1975.50) and high (1980.75) as the first breakout reference prices. Trade or Fade (my breakout trade advisory) has breakout levels at 1972.81 down and 1984.69 up. Swing Trader’s Insight Futures Watch List for July 24 (7/24/2014)- Sept. eMini Russell Futures: Breakout setup (NR7); use Wednesday’s high and low as reference prices. Swing Trader’s Insight Futures Watch List for July 23 (7/23/2014)- Sept. eMini S&P Futures: It’s an “exit breakout buys” day; this suggests we should look for a Taylor Trading Technique Sell Short day. Monday’s high of 1980.50 is the reference price for that trade. Monday’s close was far enough below the high that I would be cautious with shorts- only sell when you see downside momentum. Action and Reaction- Today’s Buy day in the eMini S&P Futures (7/18/2014)- Yesterday, the TTT told us to anticipate a selloff and how we could short the market when we had confirmation of the selloff. The TTT posits that markets move in a repetitive action / reaction manner so the odds would favor a rally today. Swing Trader’s Insight Futures Watch List for July 18 (7/18/2014)- This is the morning update to Swing Trader’s Insight Advisory, reviewing last night’s signals and adapting them to overnight market activity. How I Use Overnight Action to Swing Trade the eMini Futures (7/17/2014)- Overnight trading can give you additional patterns for trade setups during the regular trading day, especially for markets like the stock index futures. Today’s Taylor Trading Technique Signal in the eMini S&P Futures (7/15/2014)- In this morning’s Swing Trader’s Insight watch list I reiterated last night’s call that the eMini S&P futures had a Taylor Trading Technique Sell Short day signal for today. A Trade Setup for Taylor Trading Technique Sell Days (7/8/2014)- Of the three days in the Taylor Trading Technique cycle, I often don’t look to trade markets that are on the Sell day, as Sell days don’t have the clear directional bias of a Buy or a Sell Short day. However, there are some setups that can yield good trades on Sell days. How I Use the Taylor Trading Technique to Trade Grain Futures (6/16/2014)- Because they have two distinct trading sessions in a day, the grain futures markets can give you trade setups that might not occur in markets with around the clock electronic trading. Silver and eMini S&P Futures- A Tale of Two Sell Short Day Signals (6/6/2014)- Today both the eMini S&P and silver futures are on the Sell Short day of the Taylor Trading Technique cycle. Silver generated a trade this morning while the eMinis have not (yet). How I Use Old Highs and Lows to Swing Trade Futures (5/20/2014)- The analysis used for the Taylor Trading Technique consists of two steps. Janet Yellen and Today’s Breakout Trade in Gold Futures (5/7/2014)- Gold futures had a breakout setup for today. As Fed Chair Yellen’s Congressional testimony was one of the most anticipated economic events of the week, it was a likely candidate to cause a breakout move. Today’s Taylor Trading Technique Trade in the E-mini S&P Futures (4/15/2014)- This morning saw a good example of a Taylor Trading Technique Sell Short day sale in the eMini S&P futures. In addition to the standard TTT reference price, overnight price levels proved to be a help to analyzing and trading it this morning. Today’s Buy in the eMini S&P Futures – Doing What Scares You (3/27/2014)- There’s a saying about trading that says that the trades that scare you are often the very trades you should take. The stock index futures had a Taylor Trading Technique Buy day signal for today. Today’s Taylor Trading Technique Setup in Soybean Futures (3/20/2014)- There are two steps to using the Taylor Trading Technique (TTT) to trade. For the first step, we look at a futures market’s chart and price action to determine that market’s predominant direction (bullish, bearish or neutral) for a given session. We use this to determine where a market is in the TTT cycle and in turn, which TTT cycle day we should anticipate for the next trading session. Today’s Taylor Trading Sell Short Day Trade in Wheat Futures (3/13/2014)- The wheat futures had a big rally this week, rising nearly 60 cents / bu. off Tuesday’s low. It’s human nature to look to fade a move like this and the Taylor Trading Technique gave you a disciplined way to play the fade. Short Term Futures Traders Should Look at the Grain Markets (1/24/2014)- If you are a short term futures trading who is looking for new markets to trade, take a look at the grain markets. They are liquid and at the right time they can move a good amount in a short time- which can make for good trade opportunities. Trading Silver Futures Using the Taylor Trading Technique and Chart Reading (1/15/2014)- A basic concept of the Taylor Trading Technique is the use of previous session highs and / or lows to determine what a market is doing in the following session, to anticipate where it is likely to go and to take trades when it does what we anticipate. A Trade Setup for the Times You Miss a Trade Setup (10/3/2013)- Breakout setups are one of my favorite patterns to trade. However, even if you miss a market that has a breakout move session, the increased attention and market activity often creates a good trade setup in the following session as traders chase the previous day move. How to Trade Breakout Setups and Gaps in Soybean Futures (9/20/2013)- Chart patterns that combine breakout setups and gaps can make for good trade opportunities. Tuesday morning I was talking to a client, call him Jim, who was short the November soybean futures. There was a gap from 1332-0 to 1331-4 in the daily chart that hadn’t yet been filled in. Jim thought they might fill in the gap on Tuesday while I thought they might wait at least a day. Today’s Mean Reversion Signal for the eMini S&P Futures (9/4/2013)- The Taylor Trading Technique tells us to anticipate a market to make a directional move for a large percentage of trading days. We anticipate that a Buy day will see the market open near the session low and end up closing near the session high. Knowing this, we look for early session confirmation that the market is trending higher on a Buy day. Trading Breakout Setups Using Chart Patterns and Support / Resistance (7/30/2013)- Breakout patterns can make for great trade setups. When they occur around significant price levels you can have a good combination of factors to understand and trade the futures markets. The “If They’re Late, They’re Dead” Setup in the eMini S&P Futures Today (7/5/2013)- As a broker, clients often say things to me along the lines of “the news / fundamentals are bullish, why is the market going down?” Freeing yourself from this kind of thinking not only can help you from some bad trades, if you take it far enough you can profit from the other traders that think this way. Gold Futures – Hell Hath No Fury Like a Bull Scorned (5/31/2013)- To paraphrase a paraphrased saying. A failed move often creates a good, sometimes great trade in the opposite direction when the market turns on the traders who caught it heading in the initial direction. This is a good reason to watch a market even when you’re kicking yourself for missing the opportunity a big market move gives you. Don’t Trade Like Lightning Will Strike Twice (3/27/2013)- Many traders look at price charts in order to get an idea as to what the market has recently done. When I look at a price chart my real focus isn’t to see what it did in the past; past action is only important if it helps you to anticipate what the market is likely to do in the future. An Easy to Follow Trading Tip Any Futures Trader Can Use (1/18/2013)- I think it’s human nature to be a contrarian, especially among traders. Sometimes that’s a good thing—life would be boring if we all thought the same thing and there wouldn’t be any markets if everyone agreed on a “fair price”. However, it is healthy for your trading health to know when not to be a contrarian and money can be made by going with the flow. Why You Shouldn’t Have Been Blindsided by Gold and Wheat Makes Its Move (12/20/2012)- Gold bugs and other “true believers” in the precious metals futures tend to be about as stubborn (and masochistic) a group of traders as there is. They go long and are able to withstand an extreme amount of pain before throwing in the towel and pitching long positions. This characteristic often makes gold and silver futures good candidates for breakout sales. Using Fibonacci to Find Trend Continuation Entries in Currency Futures (8/16/2012)- Currency futures can be a challenge to trade. Unlike some markets that see their best liquidity (and often the best moves) during US trading hours, currencies can see action almost any time of the day or night, and some of the best moves can occur when the "home market" is open-during Tokyo trading hours for the Yen or European hours for the Euro, Pound and Swiss. The “If They’re Late, They’re Dead” Trade Setup (6/5/2012)- Years ago I read an article that Larry Connors wrote about a trade setup he called "If They’re Late, They’re Dead". I can’t remember how his setup worked but the name is a good way to think of what to do with breakout trades. Breakouts tend to be trades that work if you can get in on them early but if you’re late you can get your head handed to you. Combining Signals in the Emini S&P Futures (5/23/2012)- On Monday the stock index futures ended their Chinese water torture selloff and stage a good Taylor Trading Technique Buy day rally. Yesterday was the Sell day in the cycle. That’s what yesterday looked like — the two sided trade of a distribution day. Know When to Fold ’em (5/4/2012)- There are all sorts of sayings about how you learn more from your losers than your winners. In that spirit I thought I would go through a trade in the soybeans today. Combining the Taylor Trading Technique and Breakout Setups for Emini Futures (5/1/2012)- A main tenet of the Taylor Trading Technique is the idea of the “violation” before a TTT trade signal - on a TTT Buy day we anticipate an initial move below the previous low, on a Sell Short day it’s an initial move over the previous session high. We then wait for the market’s trend to reverse and to enter when the momentum is heading in the forecast direction. Today’s Short Sale in Wheat Futures (4/20/2012)- Corn and Wheat futures had a good rally off midweek lows. After two days of rally the Taylor Trading Technique was looking for a Sell Short day today. The anticipation aspect of the TTT was helpful this morning. Using Moving Averages as a Filter in Swing Trading Gold Futures (4/19/2012)- In last night’s Swing Trader’s Insight update my comment for the gold futures was “Buy day, careful”. By the Taylor Trading Technique today is a Buy day meaning we should look for an initial move below yesterday’s low (the reference price) and then a rally back over it. Opportunities for Breakout Moves in Crude Oil Futures (4/18/2012)- I probably sound like a broken record for writing this but I like to trade crude oil futures when the weekly EIA crude oil inventory report is released. It has the potential to cause sudden market move but is often less likely to cause the crazy overshoot reactions of a once a month report. Finding Trend Continuation Entries in Stock Index Futures (4/13/2012)- Yesterday stock index futures staged a rally out of a breakout setup, closing near the session high. Following a breakout rally the Taylor Trading Technique tells us to anticipate a Sell short day; there were a number of interesting factors in today’s setup. Ask an Expert (7/30/2011)- There are a number of reasons that many traders favor technical analysis over fundamental. For starters, fundamental traders tend to be commercial firms; that is, they are involved in the actual production or consumption of a commodity. Technical traders tend to be most everyone else – commodity funds and retail speculators. Don’t Stand on the Tracks While Waiting for a Train (7/18/2011)- This morning, I got a call from a self-directed client. I generally do not offer unsolicited advice for do-it-yourself traders unless they are doing something blatantly dangerous, or if I am sure they are wrong. Using Dojis for Short Term Trading (7/12/2011)- Doji bars are one of the single most useful single bar patterns that any trader can identify. They can be used for entries, exits, or to determine position bias. “Doji” is a term used by Japanese candlestick chartists that refer to a bar where the open and close of a bar are in close approximation to each other. The Taylor Trading Technique (7/7/2011)- In my opinion, George Douglas Taylor was one of the greatest trading thinkers, and luckily he left behind one book on trading: The Taylor Trading Technique. This book lays out his “Taylor Book Method” for swing trading in futures. Occam’s Razor and Futures Trading (6/8/2011)- Over the weekend I got an email from a trader who follows the Taylor Trading Technique as he learned from Linda Raschke. Linda’s version of the Taylor Trading Technique is the basis of my Swing Trader’s Insight futures advisory service. What’s the Best Way to Manage and Liquidate a Futures Trade? (11/23/2010)- In marketing my services I offer the user’s Guide to Swing Trader’s Insight (STI). I call the STI user’s guide a “Guide to Swing Trading Futures”. Swing Trader’s Insight (6/5/2018)- Join Scott Hoffman, Senior Broker and publisher of Swing Trader’s Insight for an introduction to his methods for swing trading and see how you can apply these simple but powerful concepts for your trading. Swing Trader’s Insight (Feb 1, 2018) (2/2/2018)- Join Scott Hoffman, Senior Broker and publisher of Swing Trader’s Insight for an introduction to his methods for swing trading and see how you can apply these simple but powerful concepts for your trading. Swing Trader’s Insight (Jan 18, 2018) (1/18/2018)- Join Scott Hoffman, Senior Broker and publisher of Swing Trader’s Insight for an introduction to his methods for swing trading and see how you can apply these simple but powerful concepts for your trading. Insights of a Swing Trader (Sep 28 2017) (9/21/2017)- Join Scott Hoffman, Senior Broker and publisher of Swing Trader’s Insight for an introduction to his methods for swing trading and see how you can apply these simple but powerful concepts for your trading. Insights of a Swing Trader (Jul 11 2017) (7/7/2017)- Join Scott Hoffman, Senior Broker and publisher of Swing Trader’s Insight for an introduction to his methods for swing trading and see how you can apply these simple but powerful concepts for your trading. Insights of a Swing Trader (Jun 14 2017) (6/7/2017)- Join Scott Hoffman, Senior Broker and publisher of Swing Trader’s Insight for an introduction to his methods for swing trading and see how you can apply these simple but powerful concepts for your trading. Insights of a Swing Trader (Jun 01 2017) (5/26/2017)- Join Scott Hoffman, Senior Broker and publisher of Swing Trader’s Insight for an introduction to his methods for swing trading and see how you can apply these simple but powerful concepts for your trading. 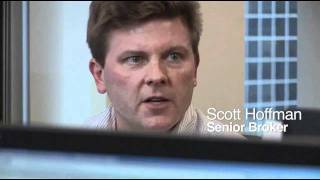 Insights of a Swing Trader (Dec 30 2014) (10/16/2014)- Join us for a webinar event featuring 25 year trading veteran Scott Hoffman as he explains the trading methods and setups he uses for his Swing Trader’s Insight Advisory. Insights on Swing Trading (10/26/2012)- You'll learn simple but robust guidelines to use for swing trading entries and risk management. Insights on Swing Trading (5/15/2012)- You'll learn simple but robust guidelines to use for swing trading entries and risk management. Insights on Swing Trading (3/28/2012)- You'll learn simple but robust guidelines to use for swing trading entries and risk management. Insights on Swing Trading (1/5/2012)- You'll learn simple but robust guidelines to use for swing trading entries and risk management. Breakout Trading Insights (7/8/2011)- You'll learn the patterns Scott uses to identify breakout setups in the futures markets. This helps you home in on markets with the potential for explosive moves. You'll also learn how and where to trade these setups to help minimize risk and maximize returns. 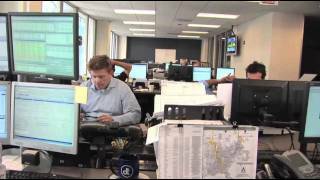 Insights on Swing Trading (6/10/2011)- Review swing market trading analysis and research for the coming week's market with Scott Hoffman - Senior Futures Broker and Educator. Trading Volatility Breakouts in Futures (5/12/2011)- Register for this Live Web Event and watch Scott Hoffman review and forecast the futures markets using his proprietary "Trade!" or "Fade!" method! Insights on Swing Trading (4/1/2011)- Review swing market trading analysis and research for the coming week's market with Scott Hoffman - Senior Futures Broker and Educator.